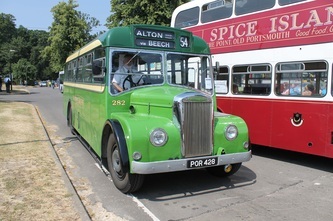 Alton Bus Rally, a success! 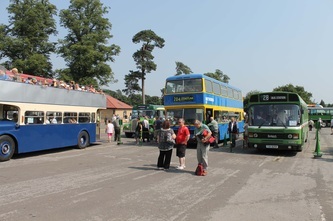 Blazing sunshine started from mid-morning and continued throughout the day lasting into the early evening. 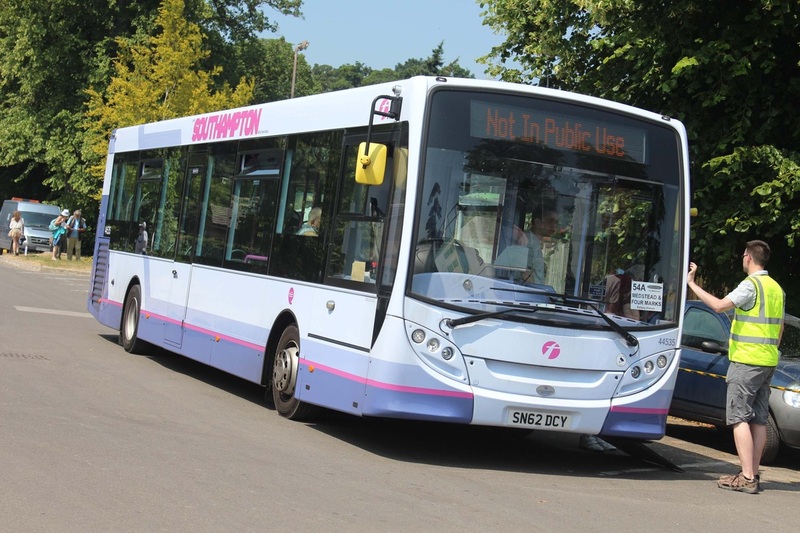 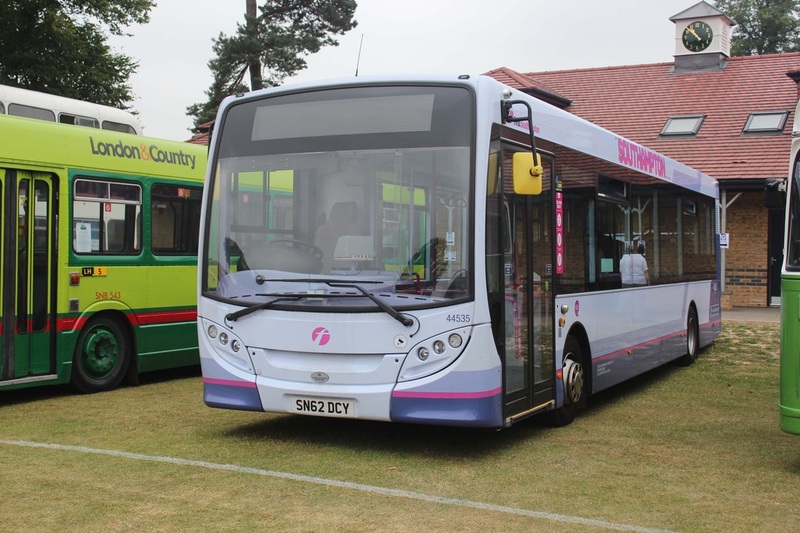 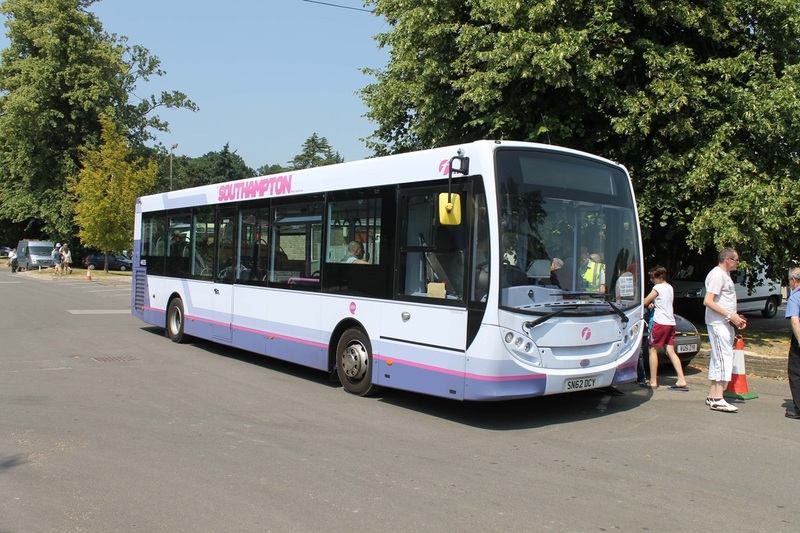 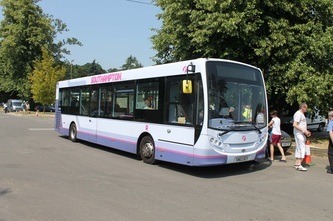 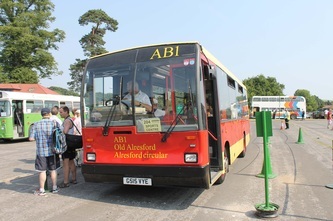 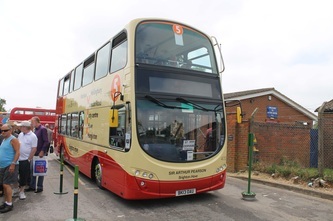 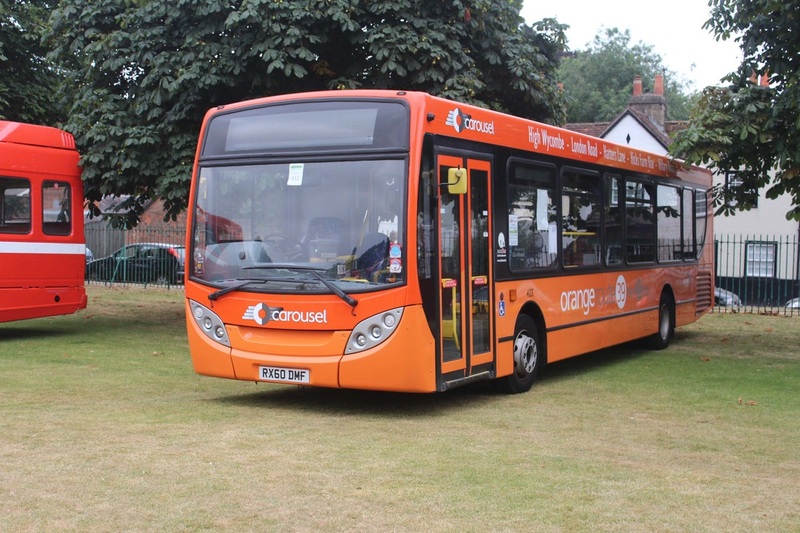 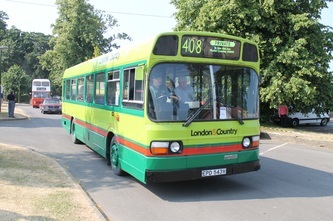 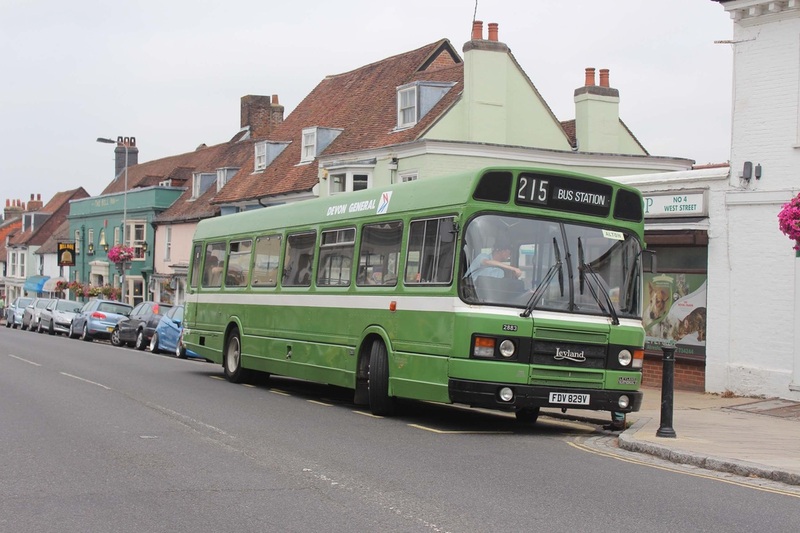 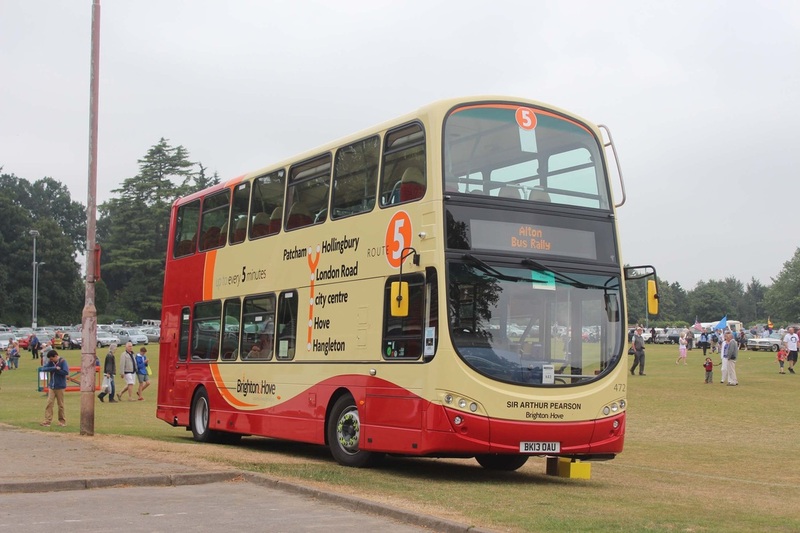 Bus services to Selbourne, Farnham, Medstead, Priors Dean and Alton town centre were continuously filled. 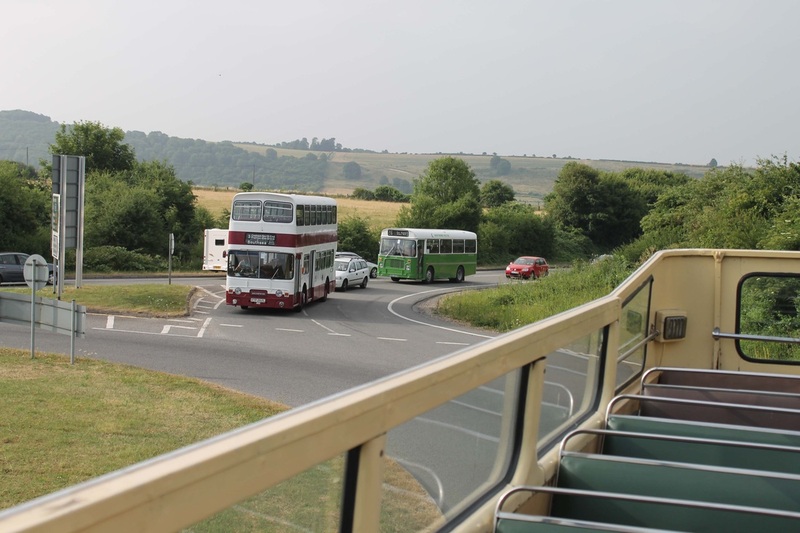 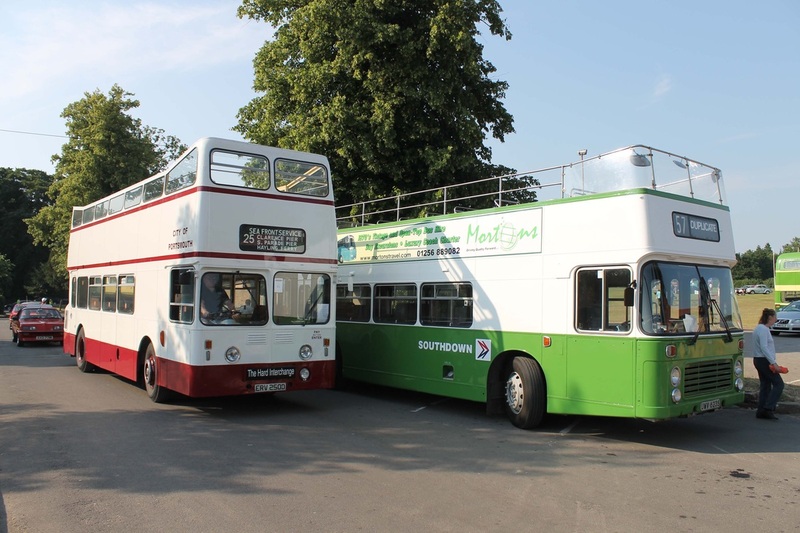 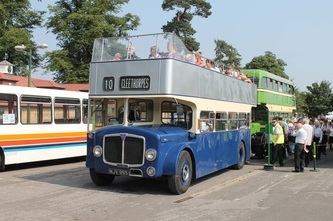 Furthermore, the open top mystery tours proved to be very successful as many families and enthusiast's took to the top decks. 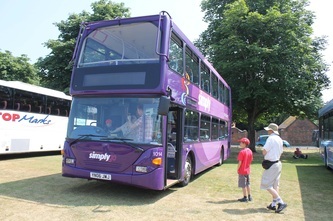 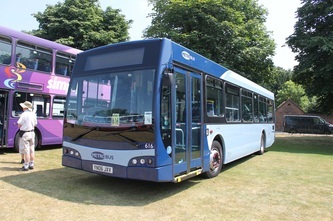 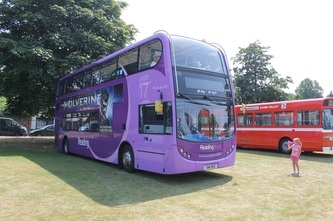 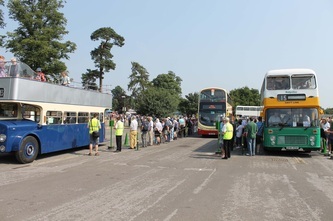 A well organised event as per usual gave the opportunity for all visitors to view a very wide range of buses and coaches. 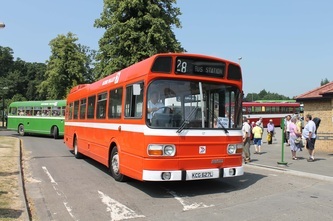 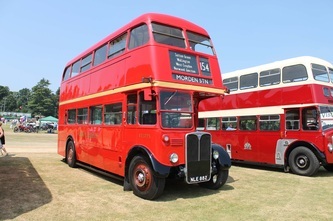 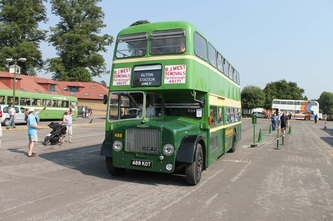 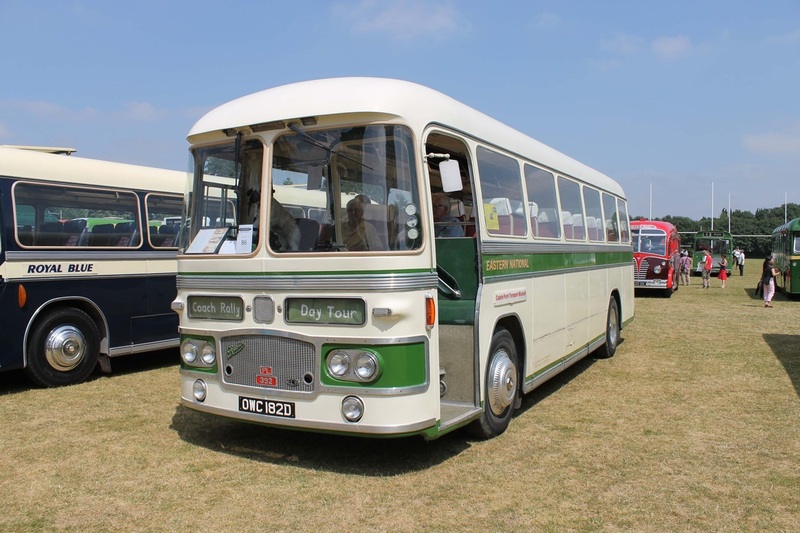 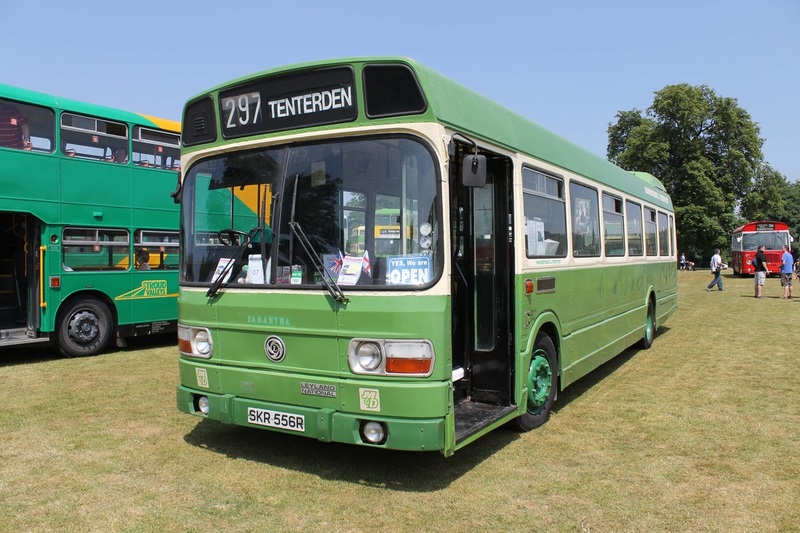 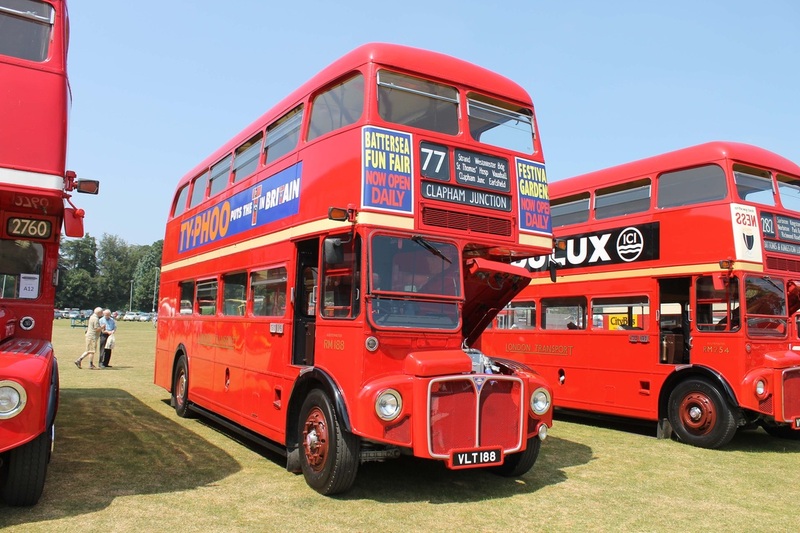 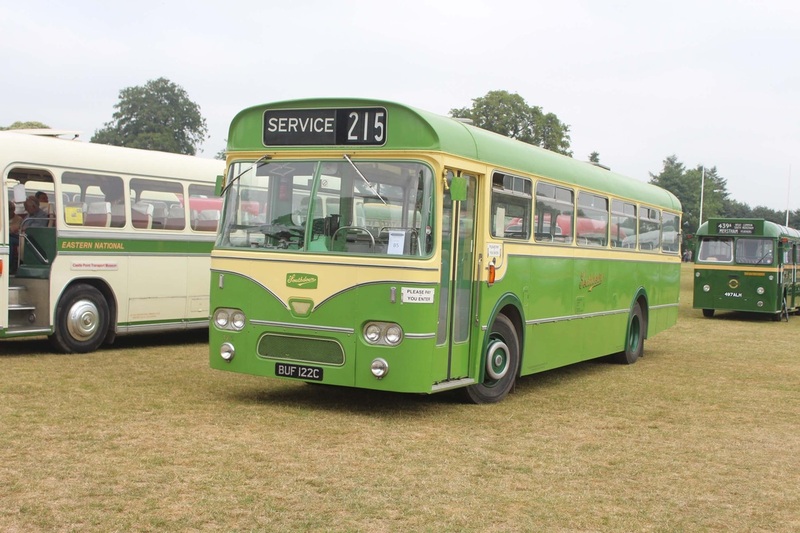 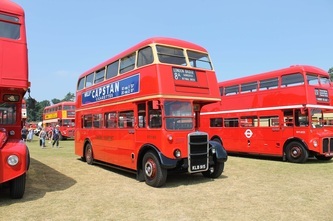 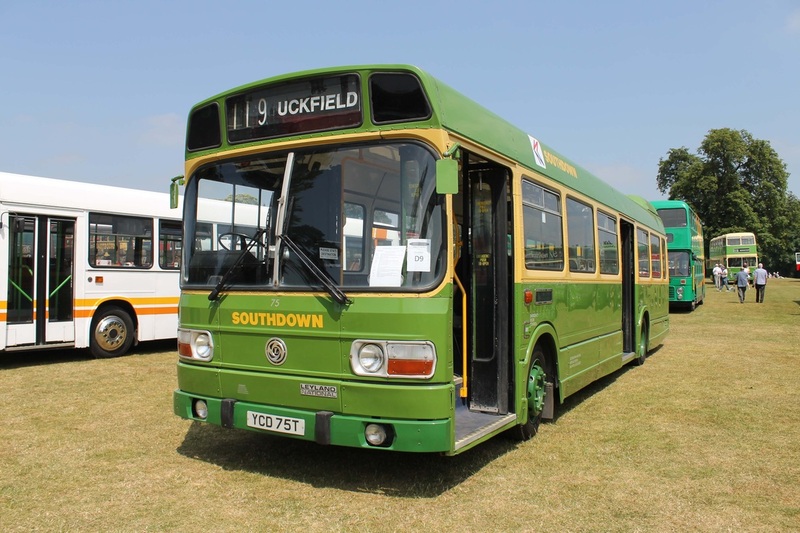 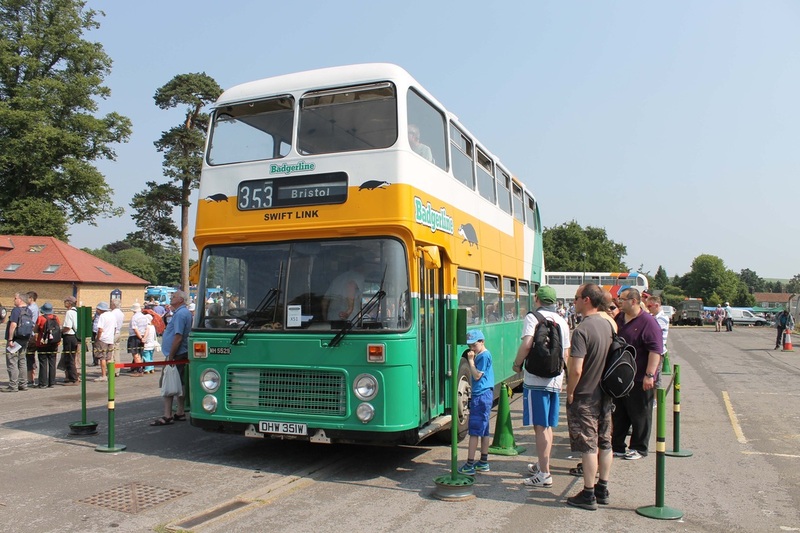 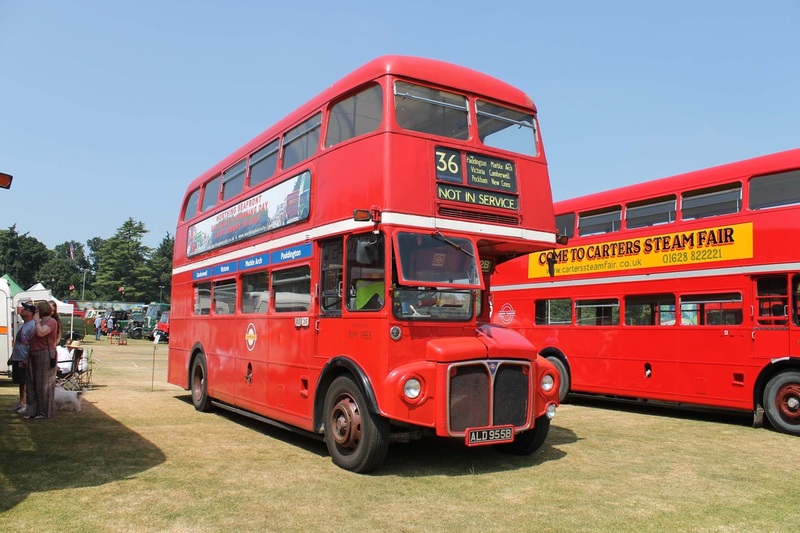 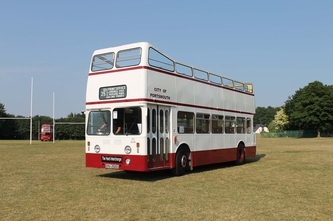 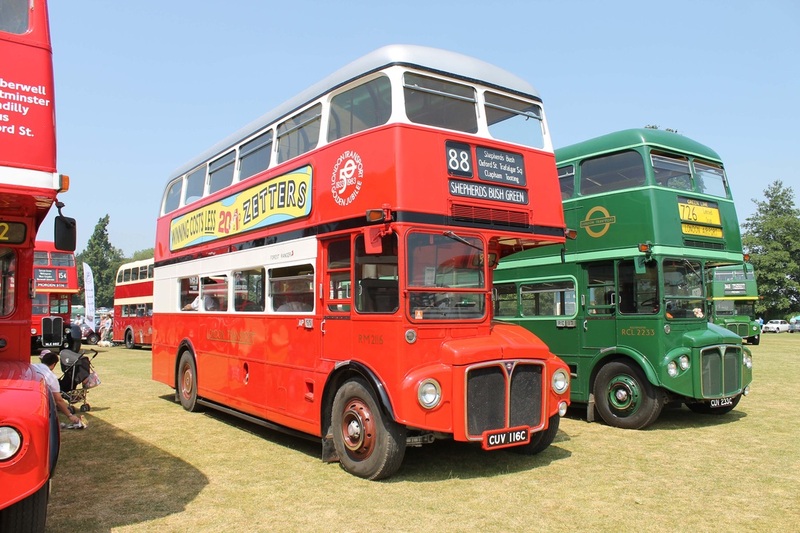 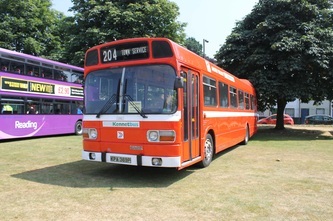 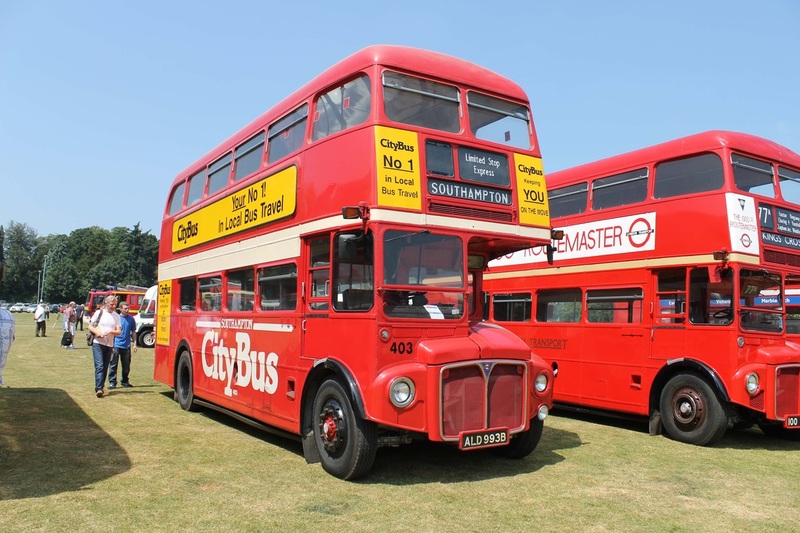 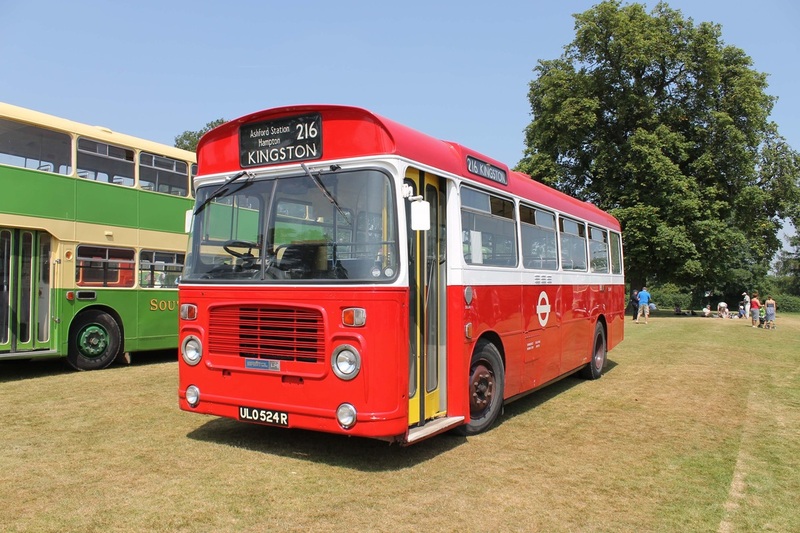 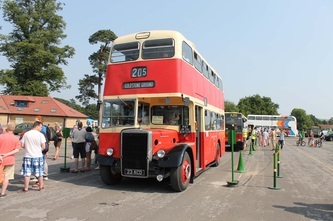 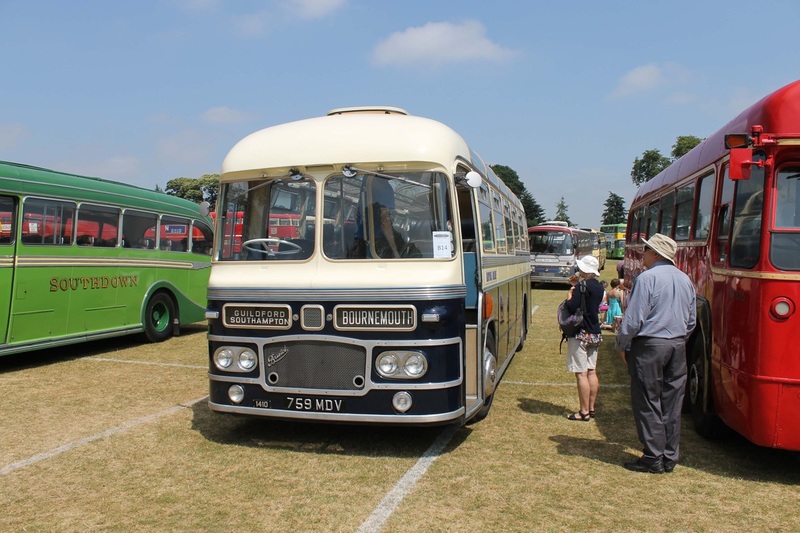 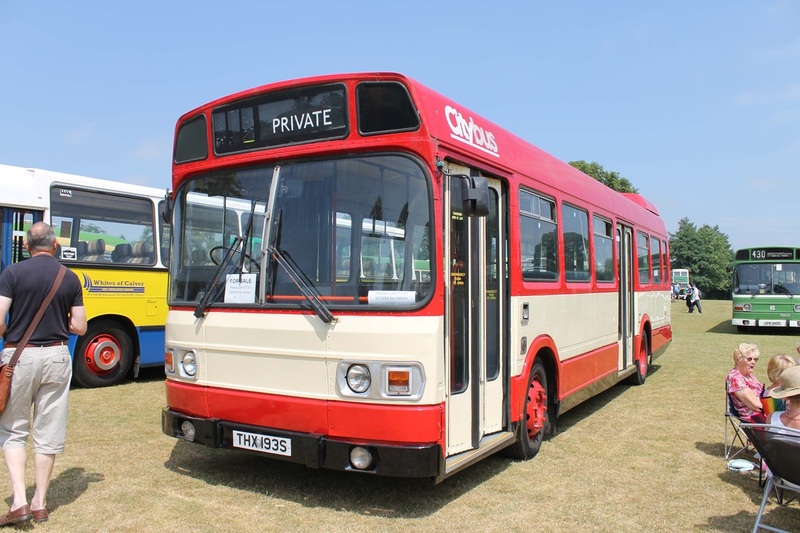 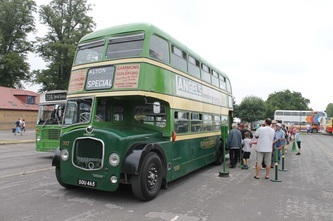 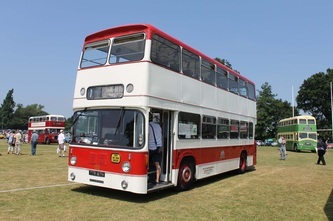 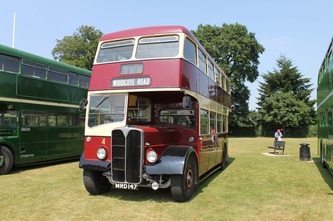 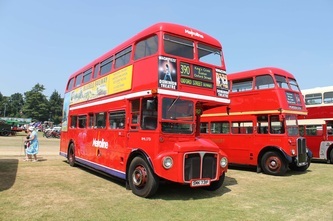 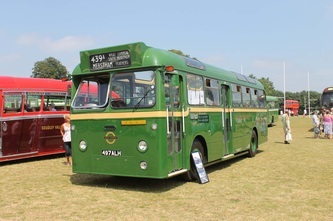 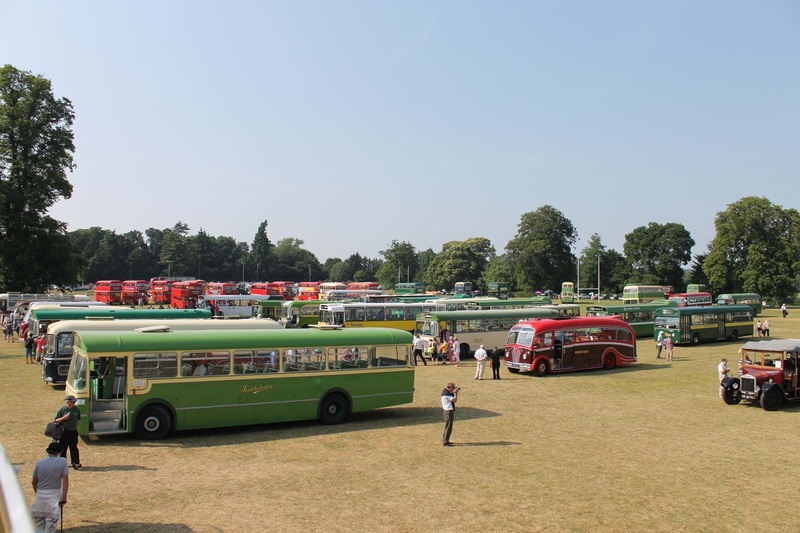 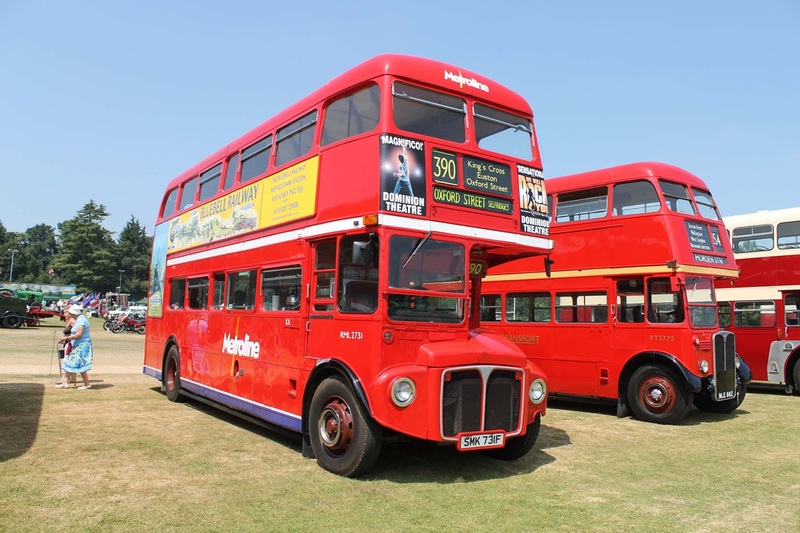 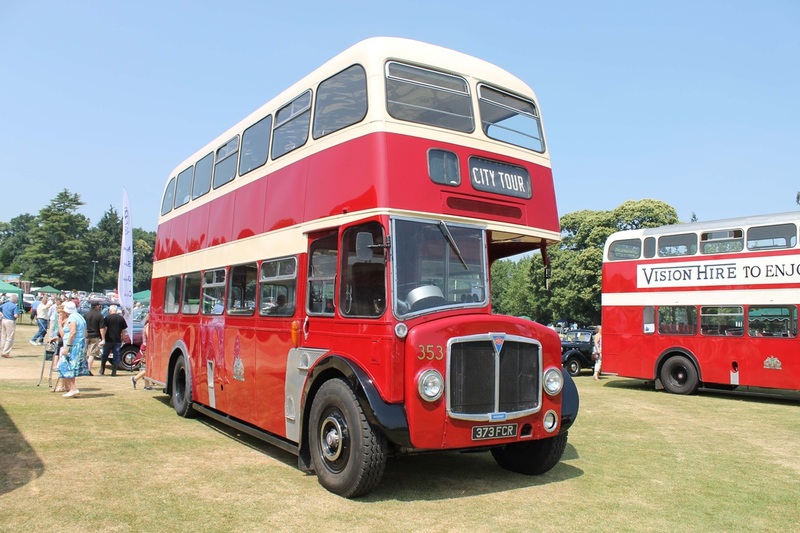 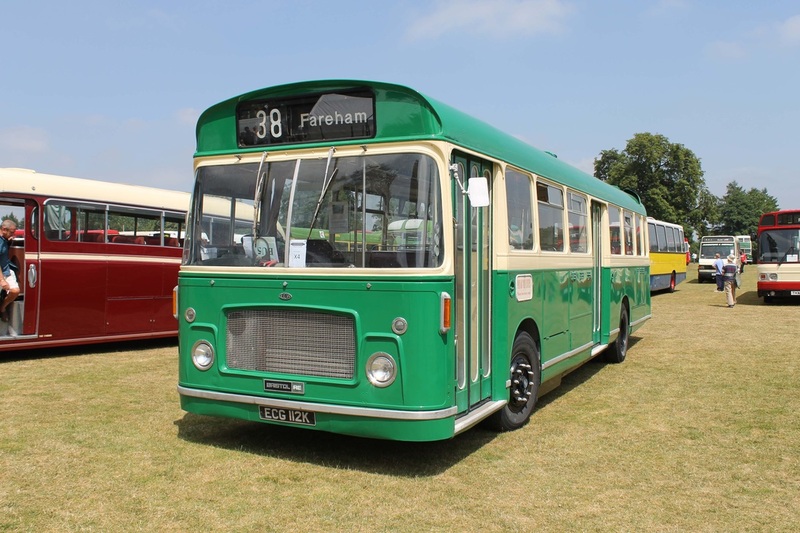 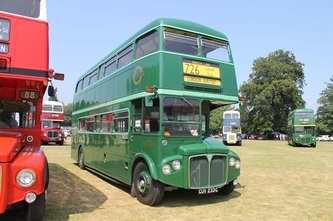 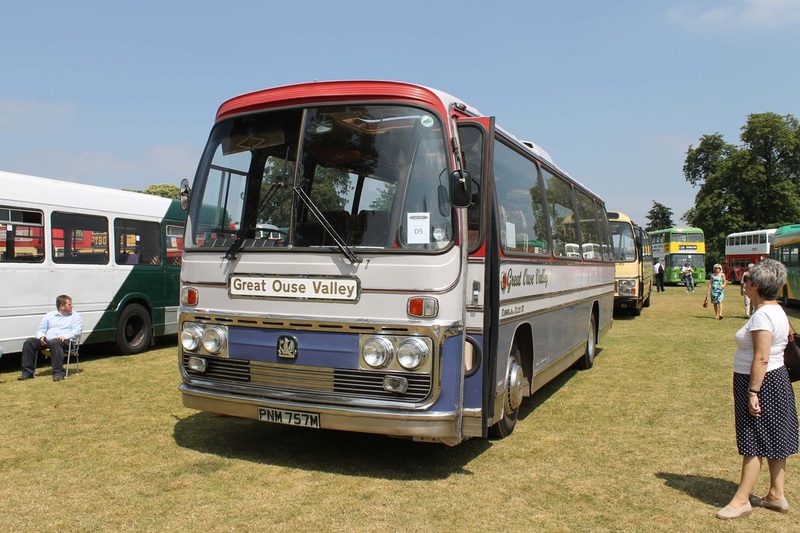 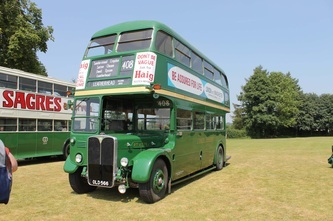 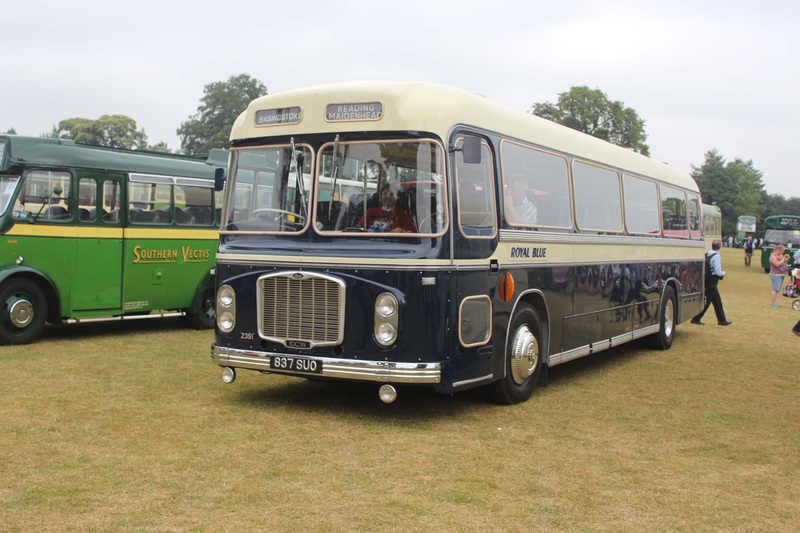 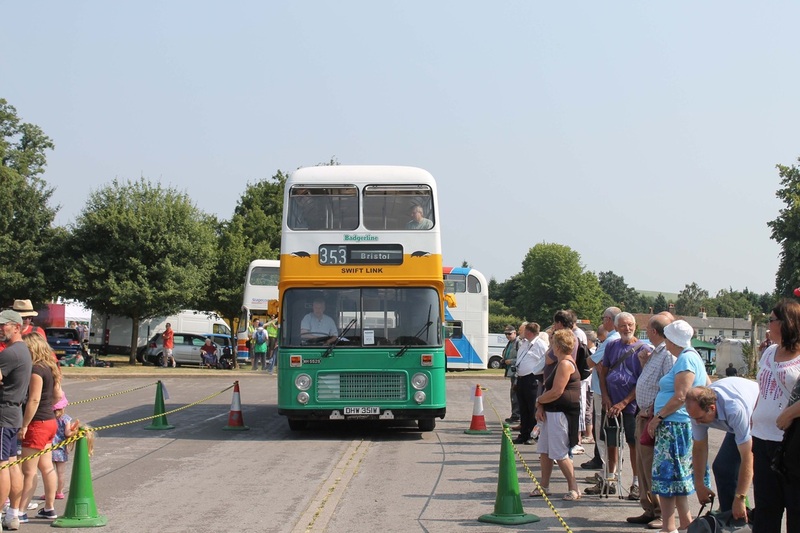 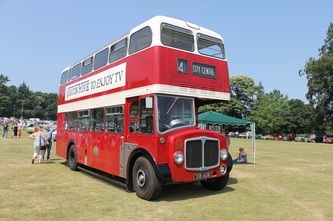 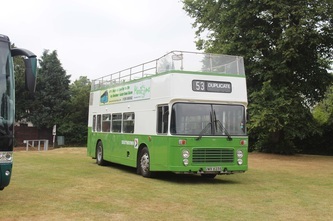 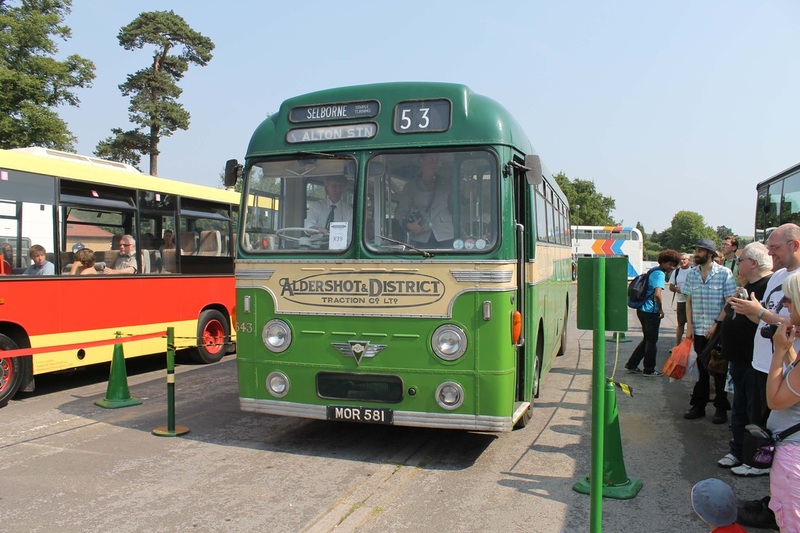 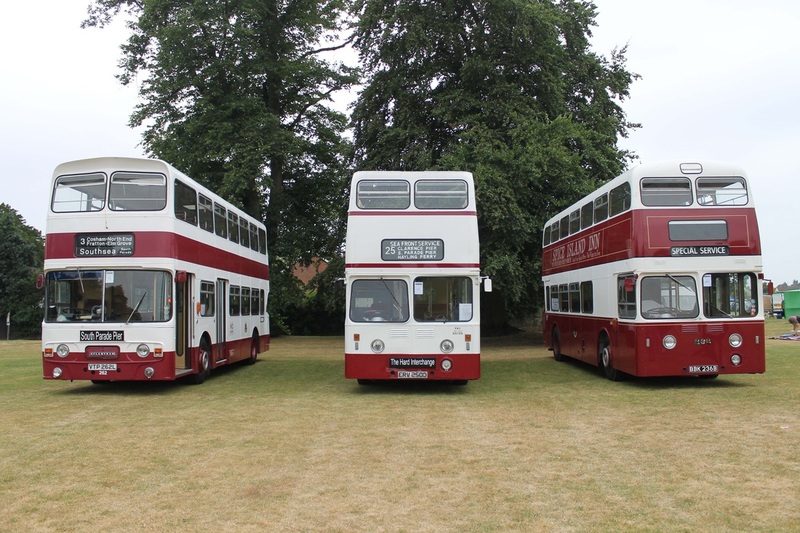 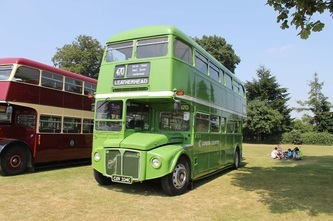 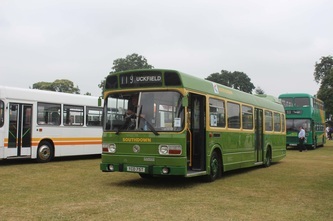 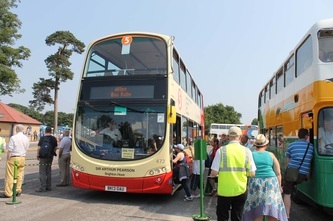 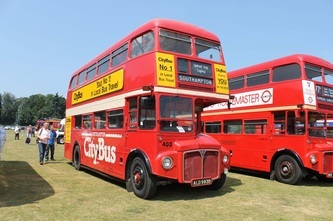 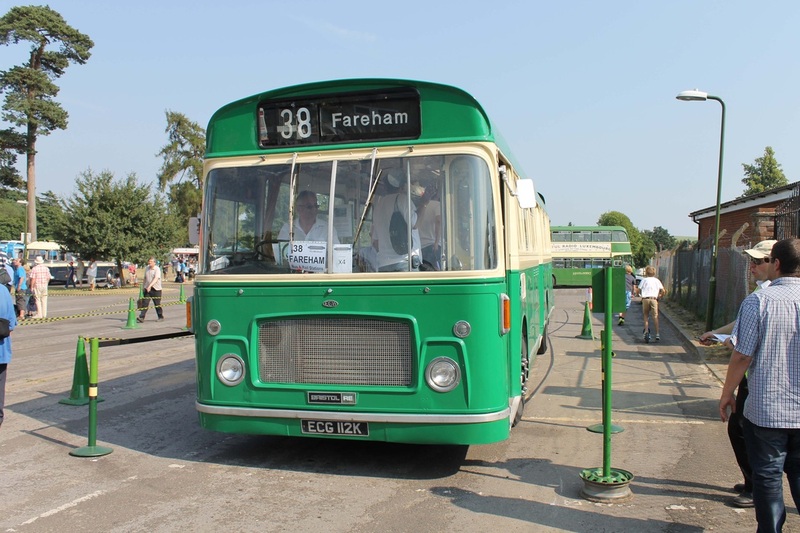 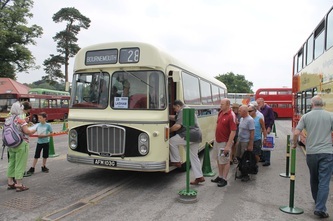 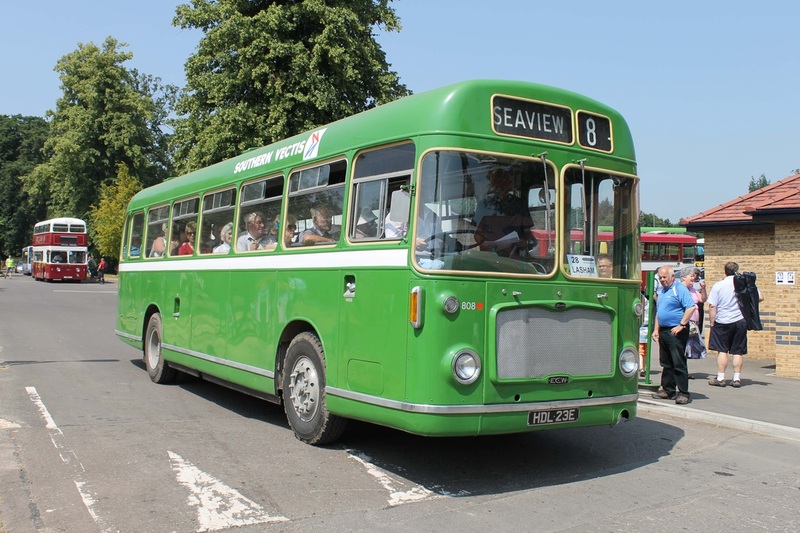 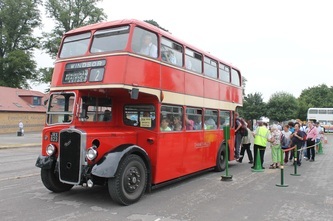 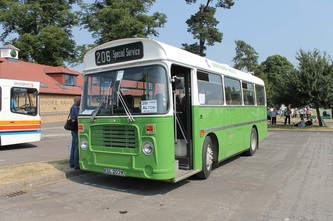 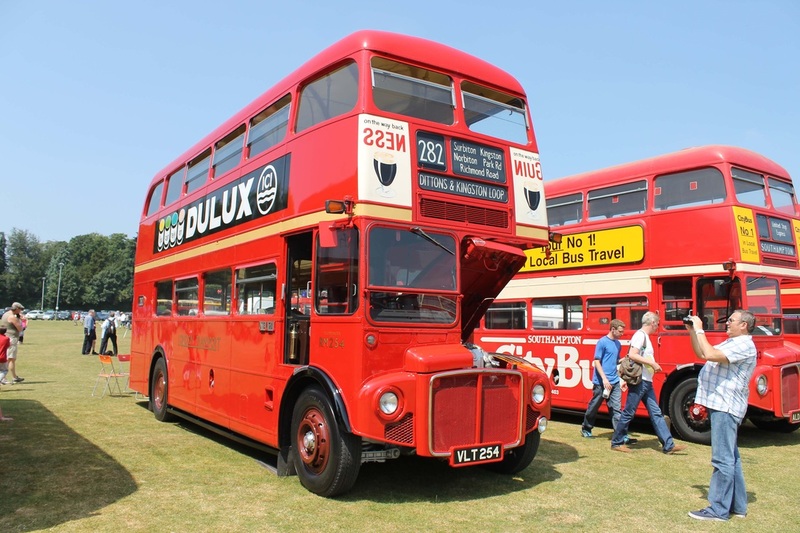 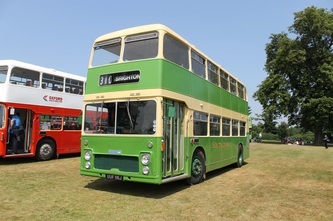 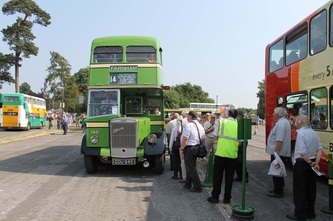 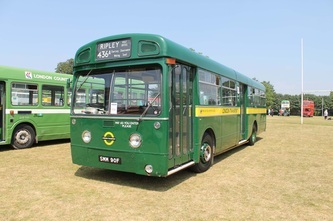 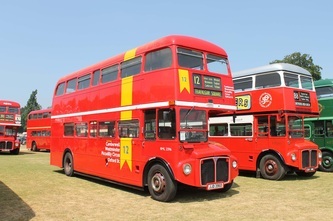 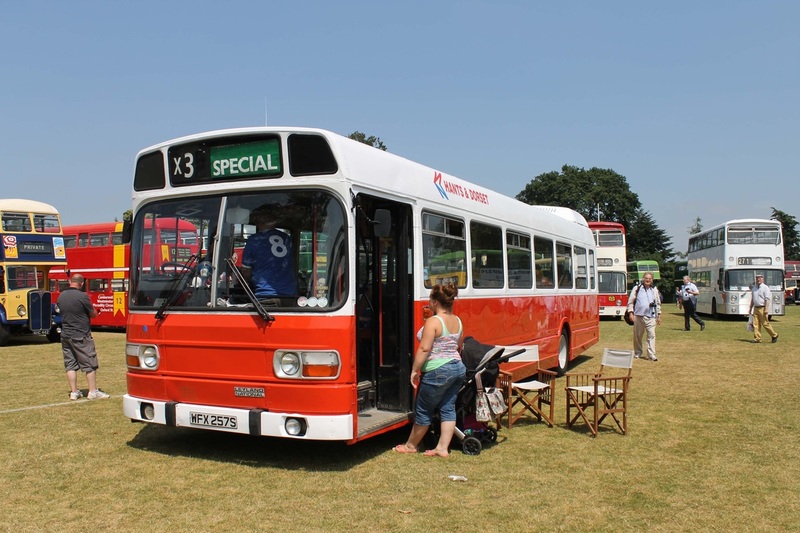 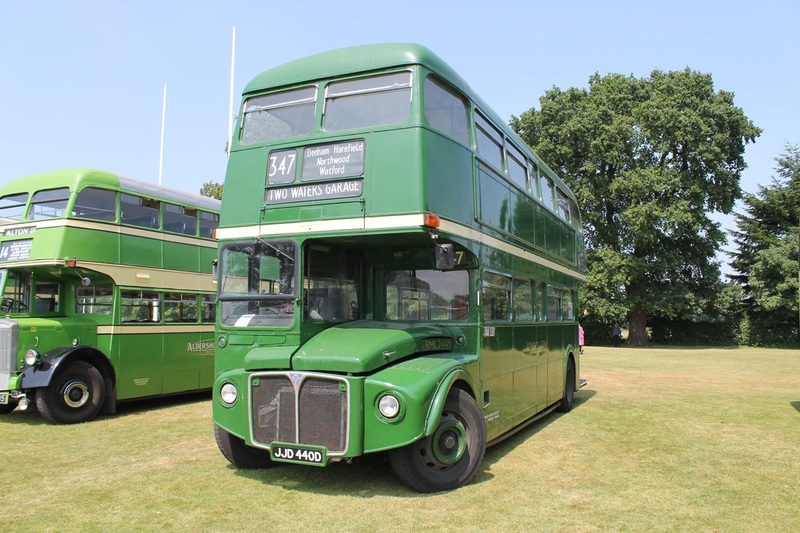 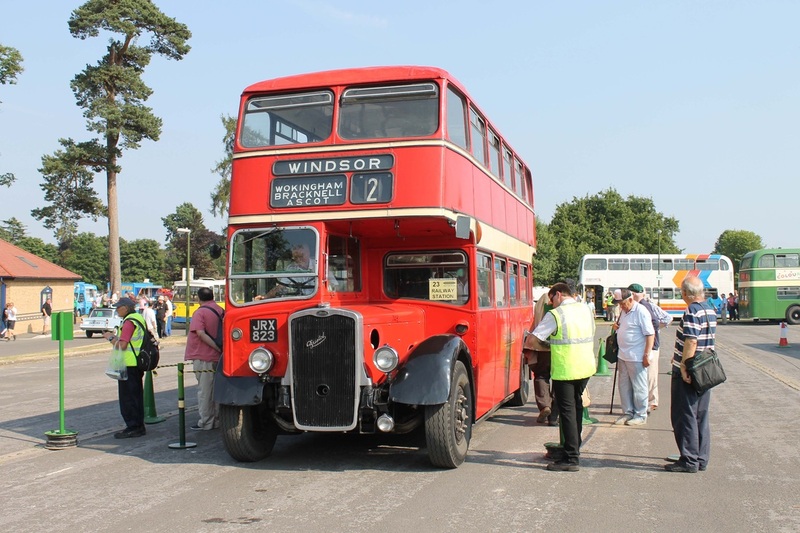 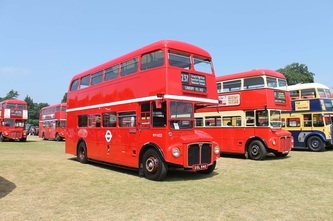 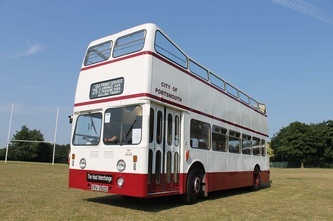 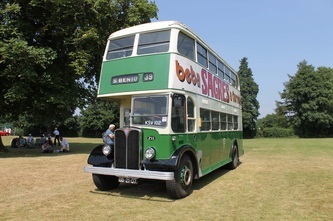 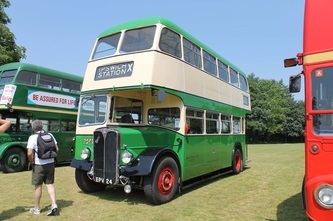 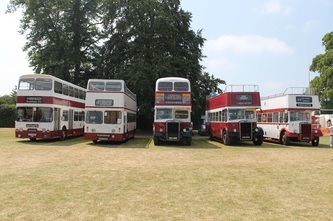 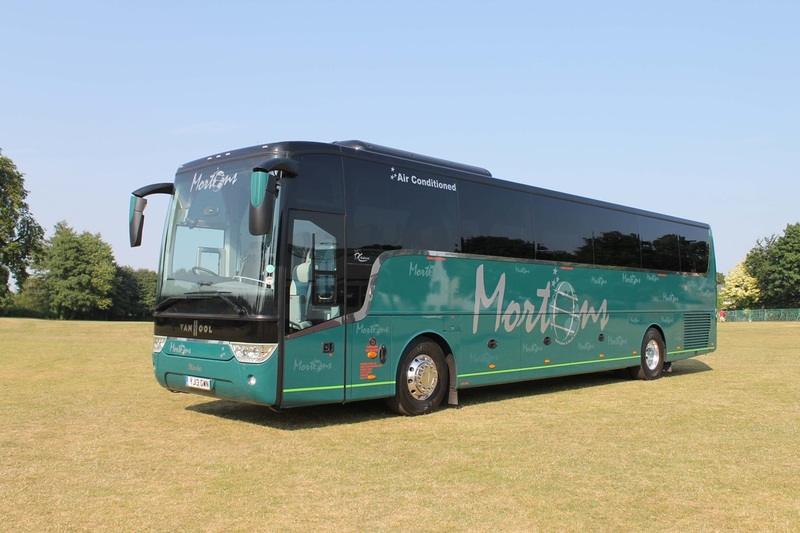 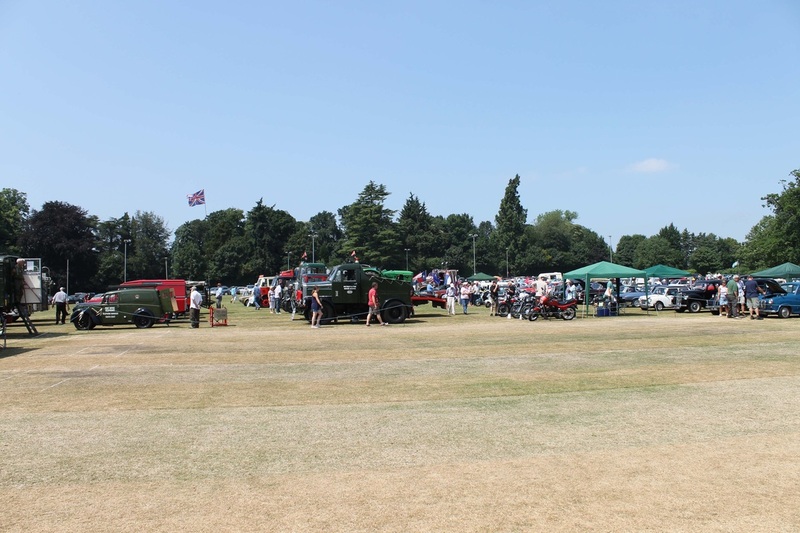 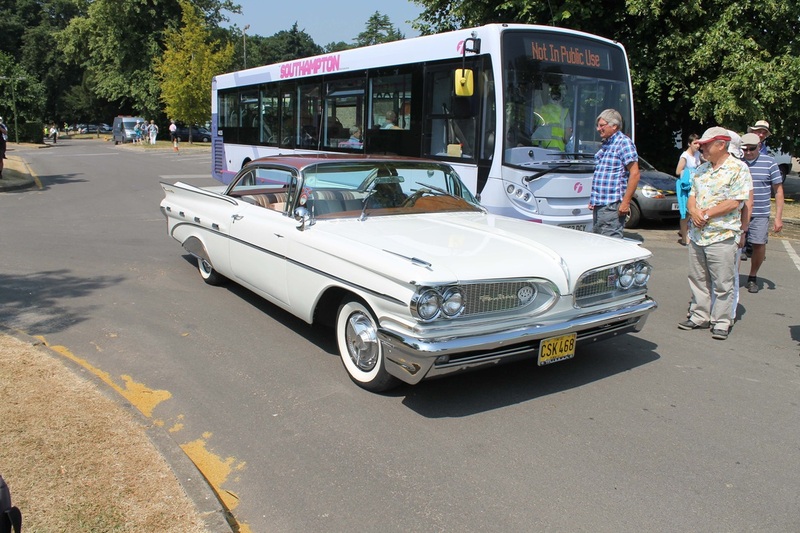 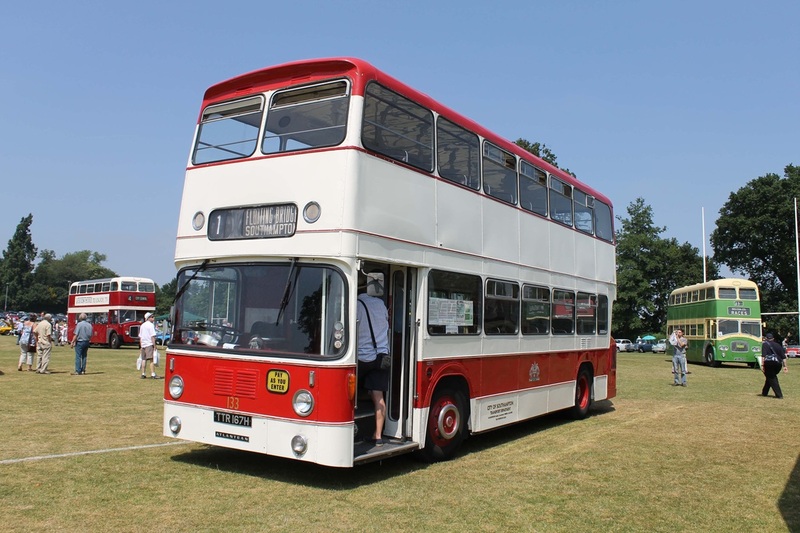 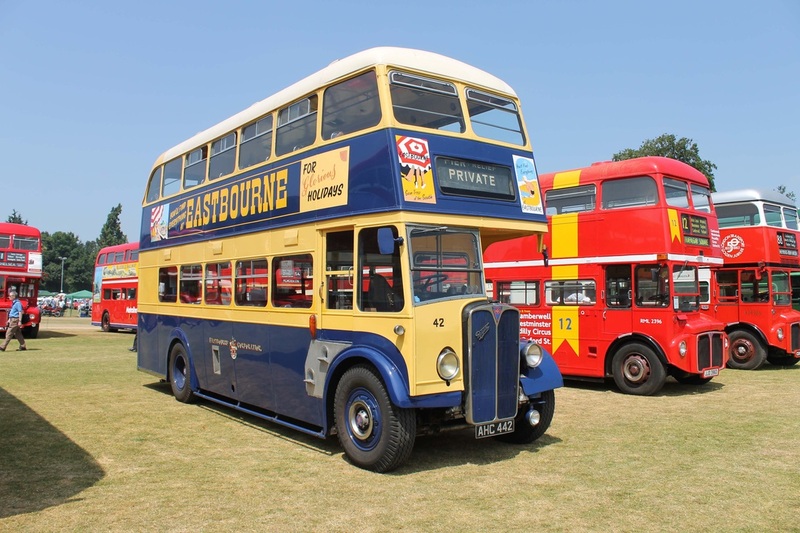 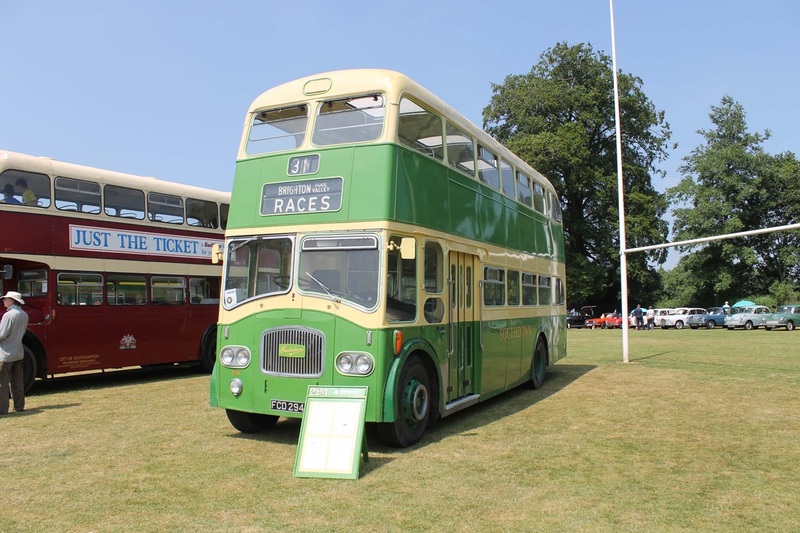 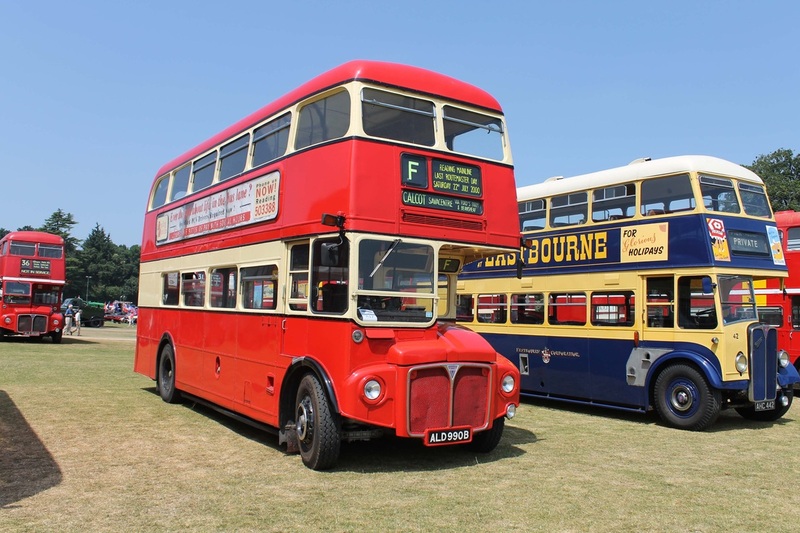 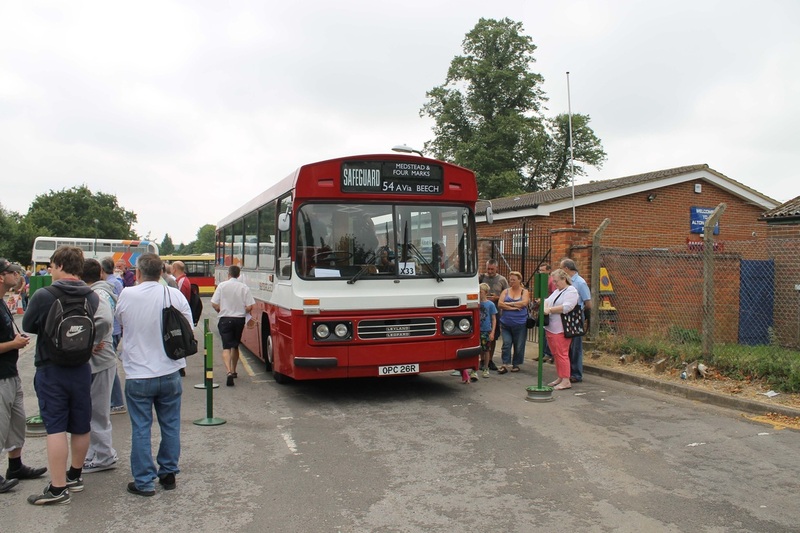 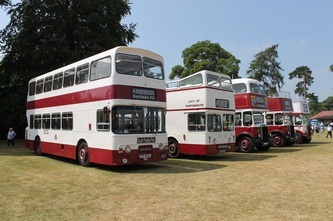 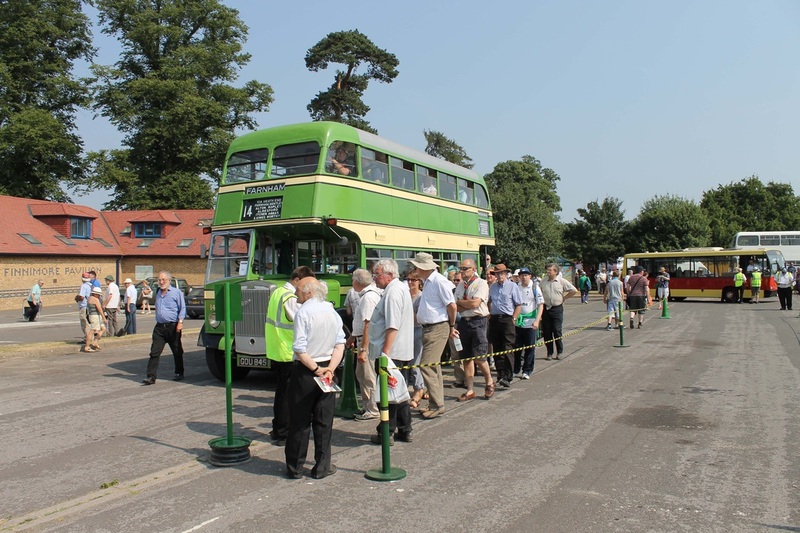 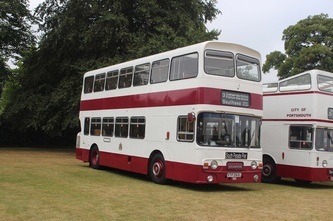 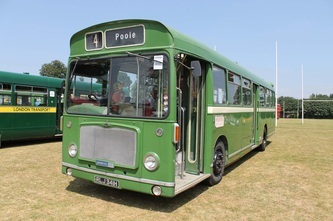 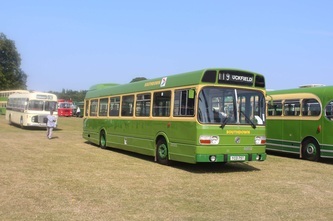 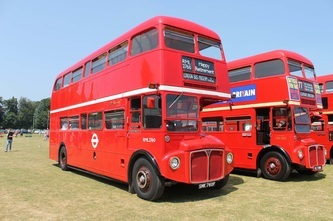 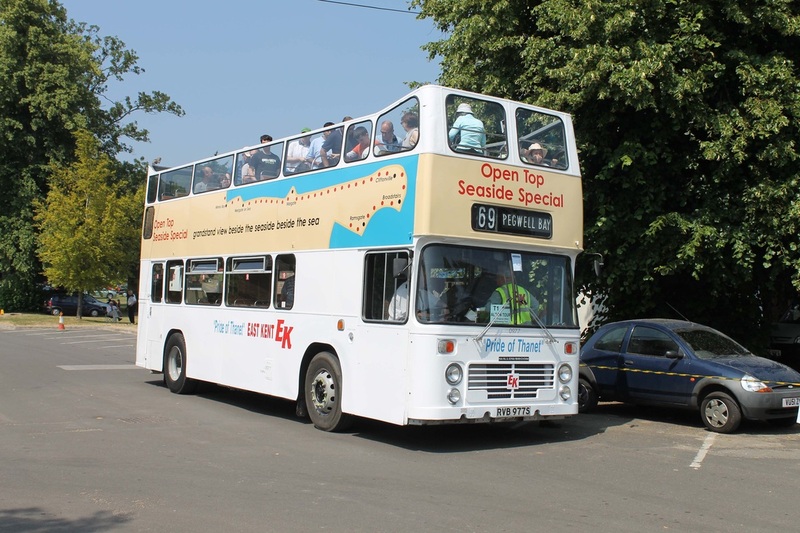 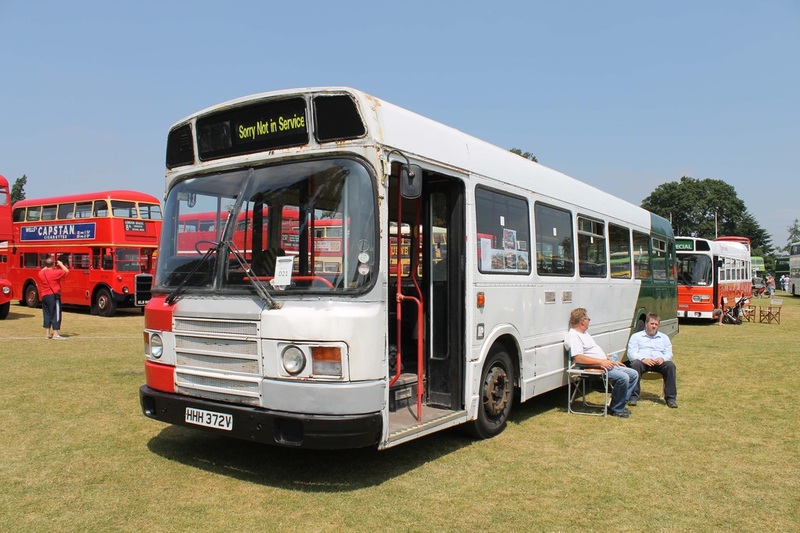 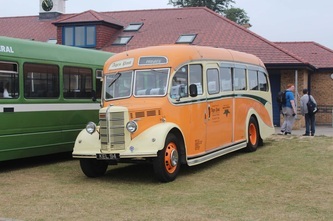 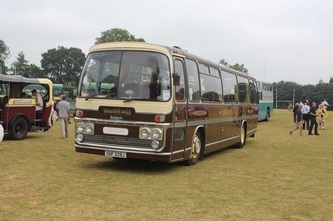 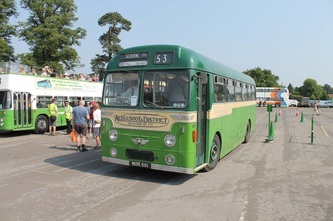 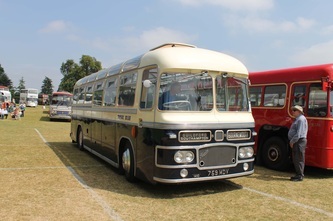 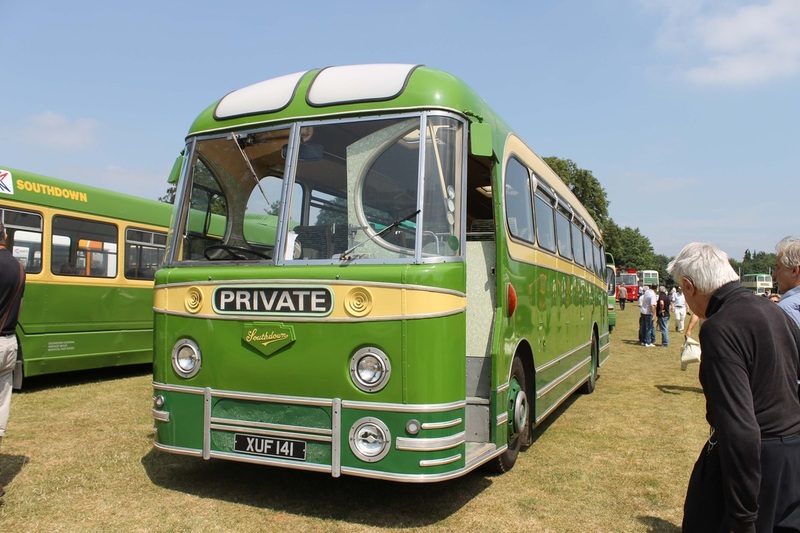 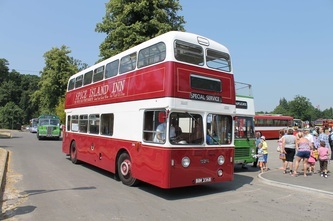 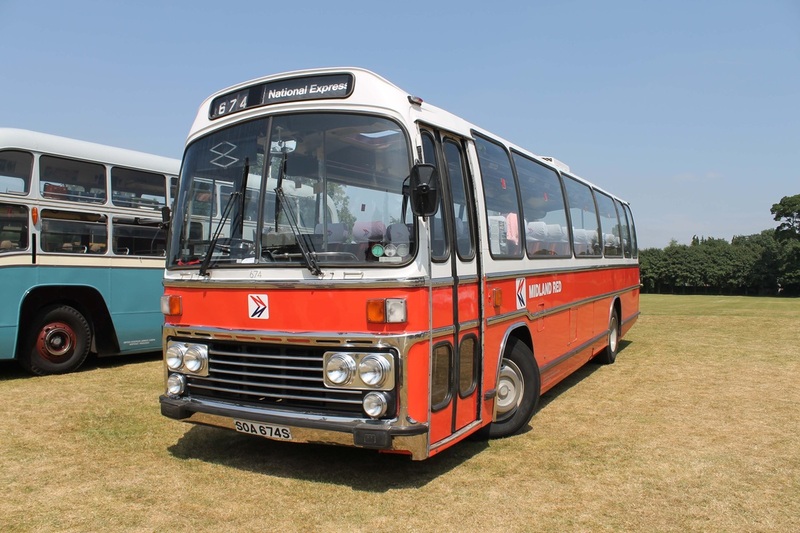 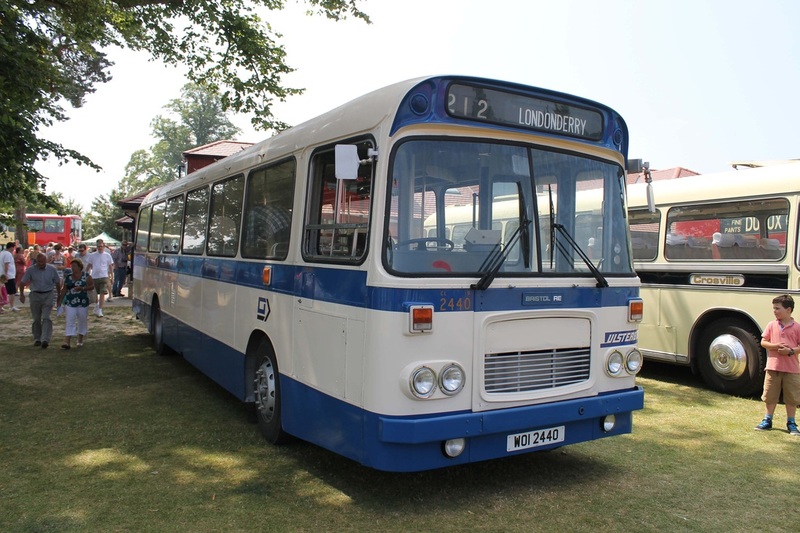 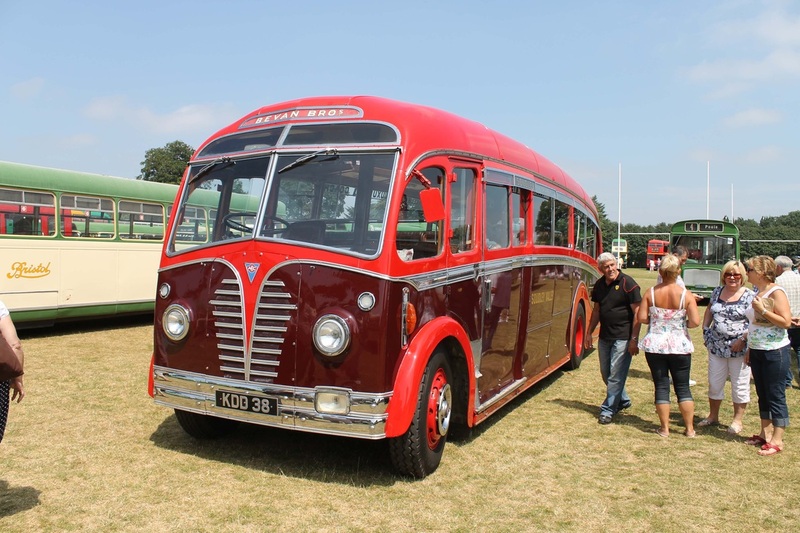 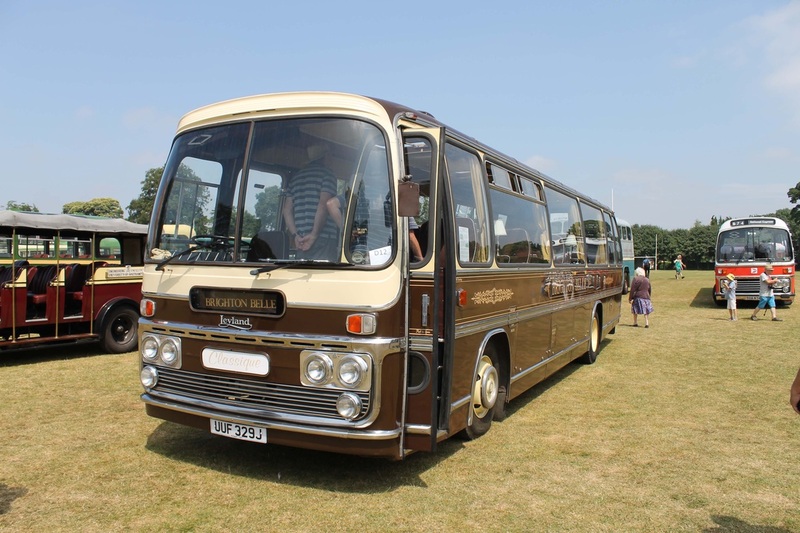 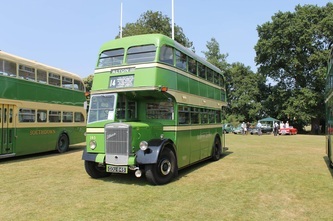 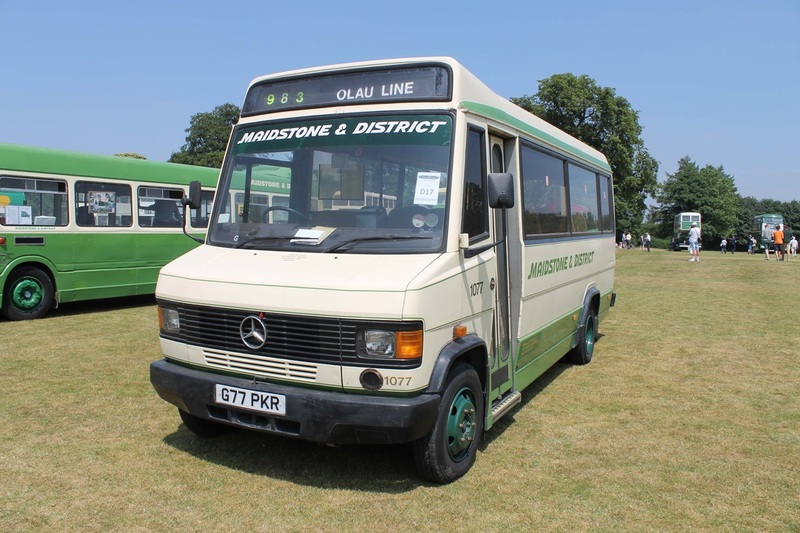 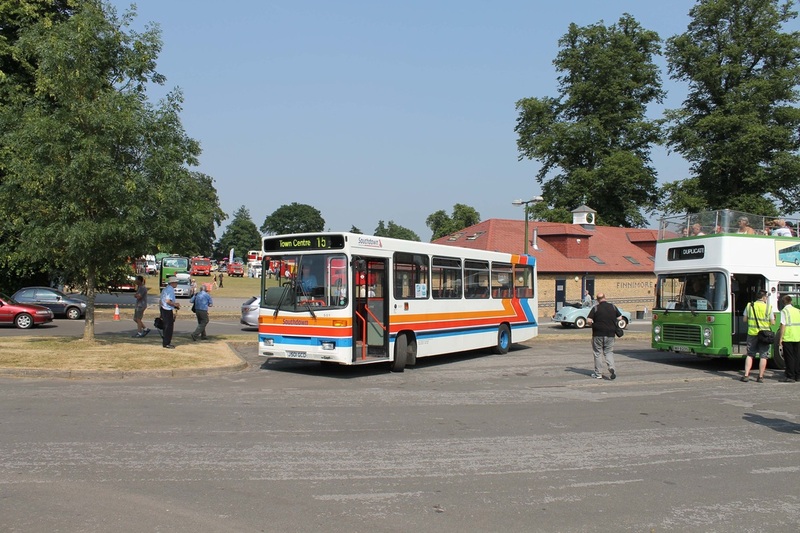 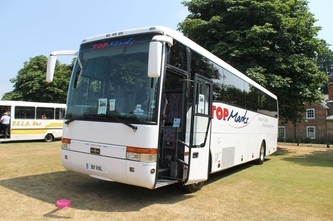 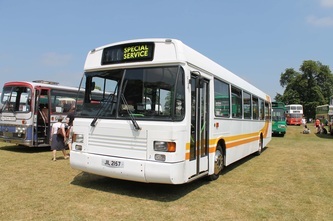 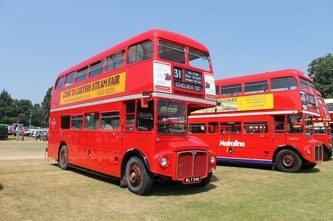 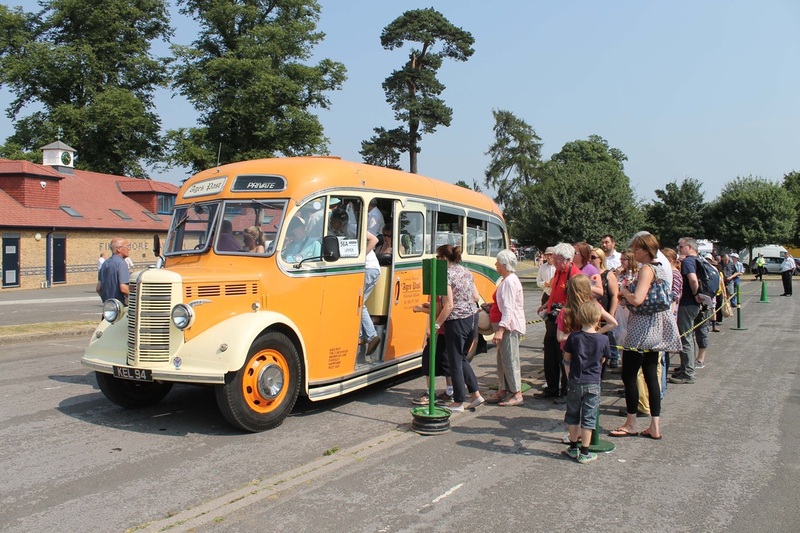 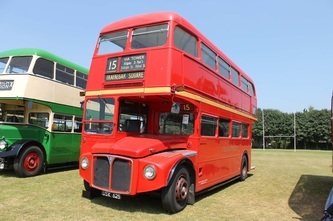 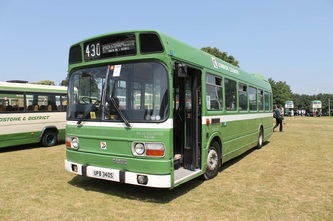 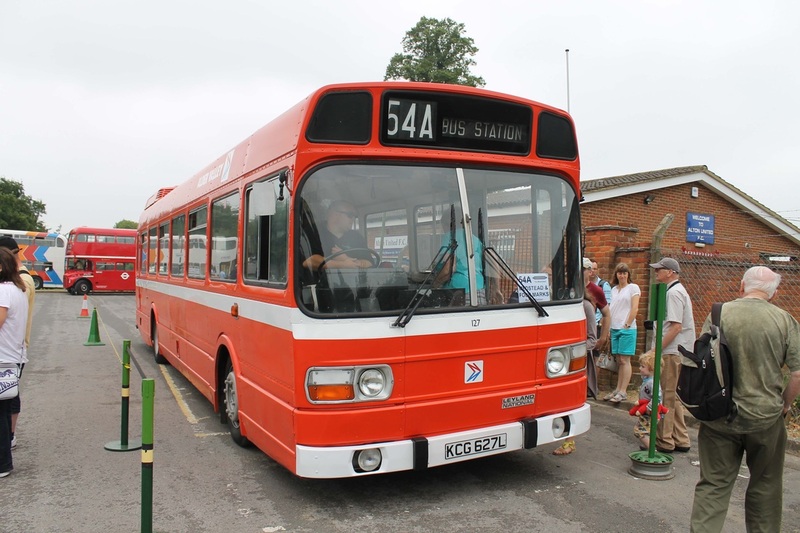 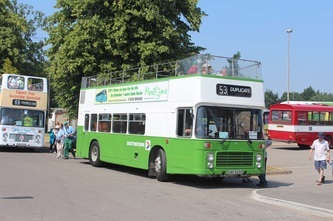 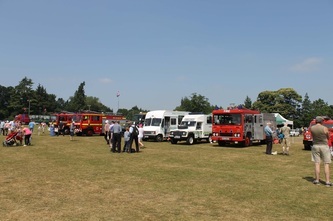 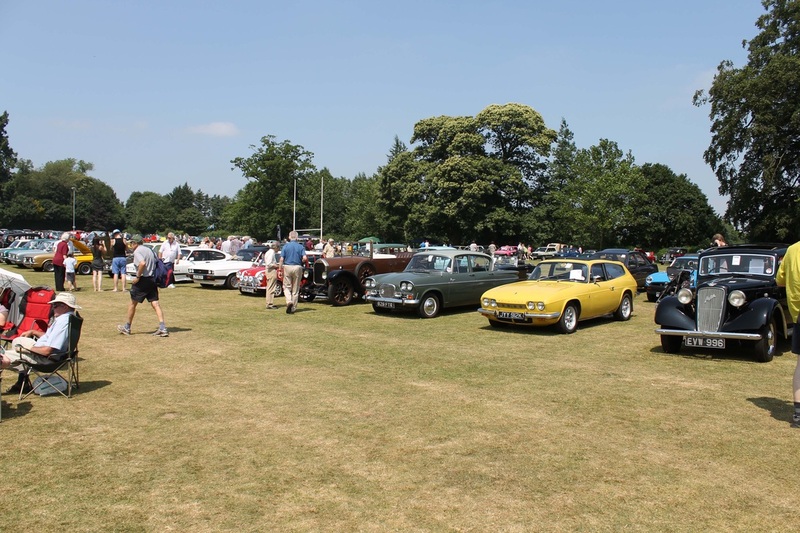 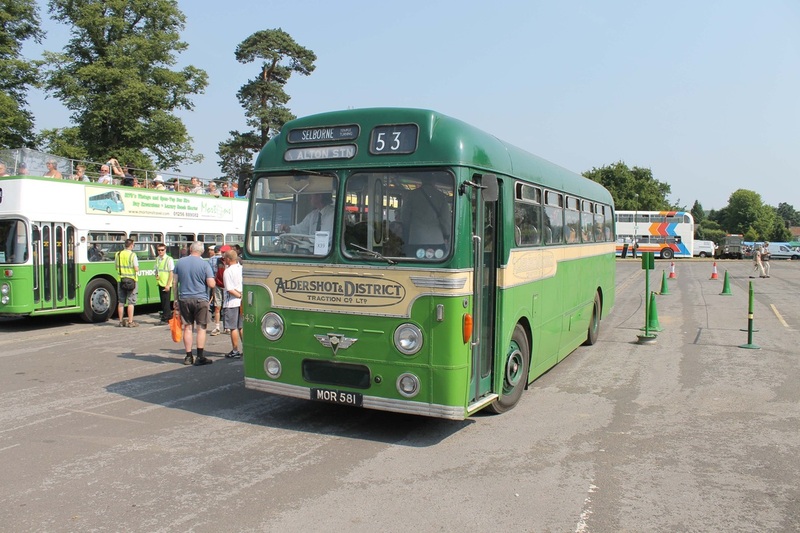 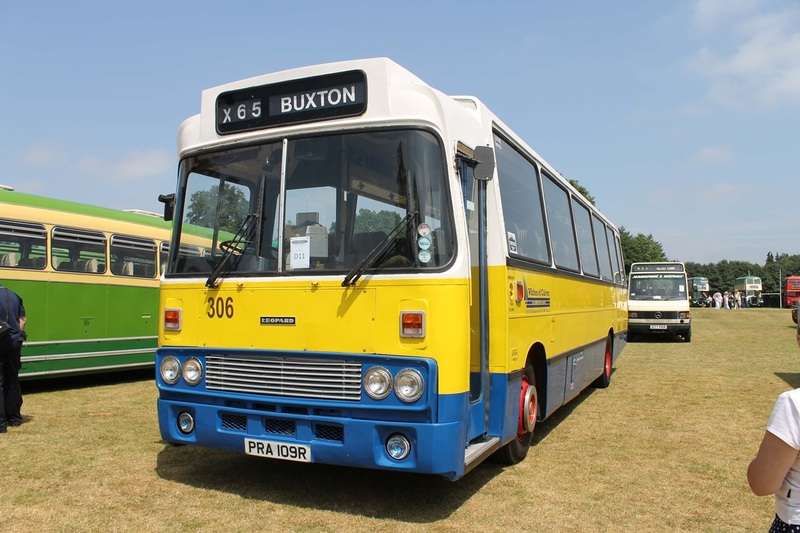 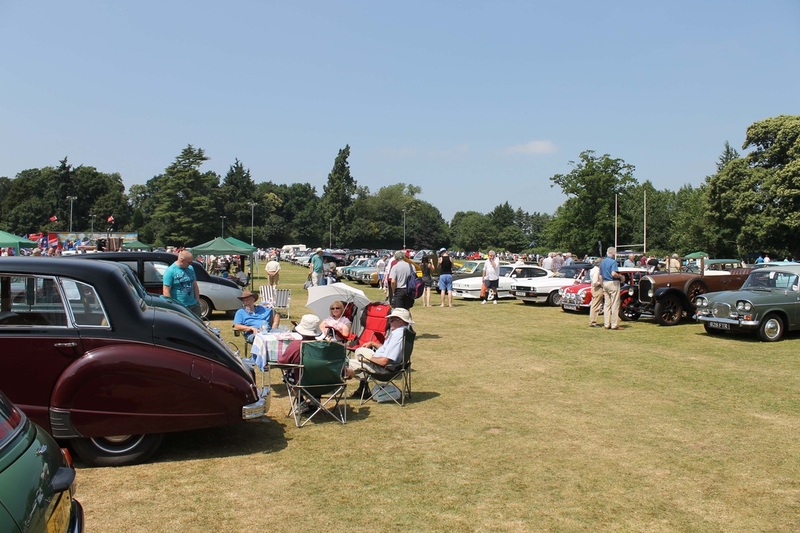 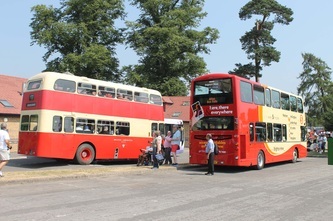 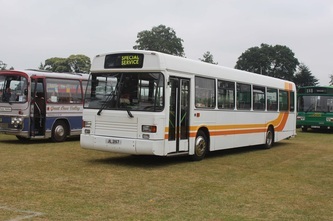 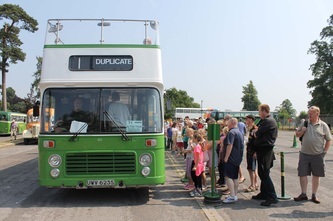 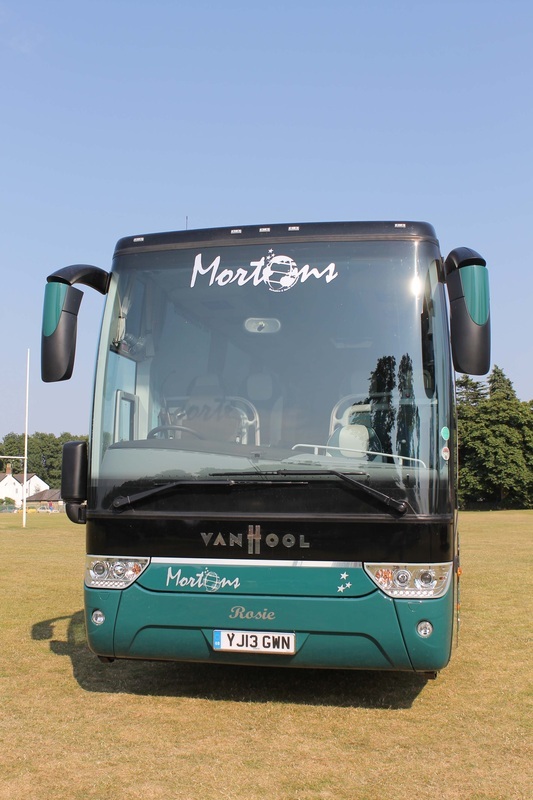 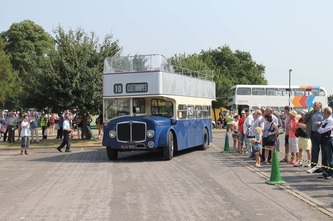 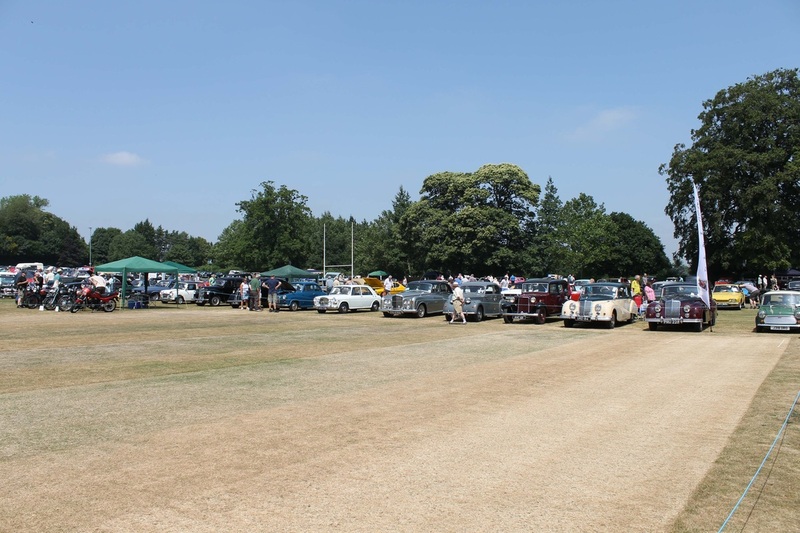 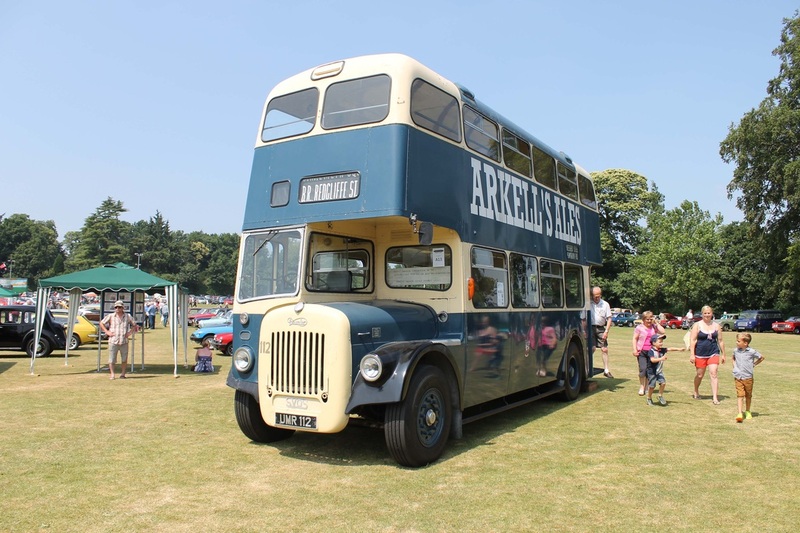 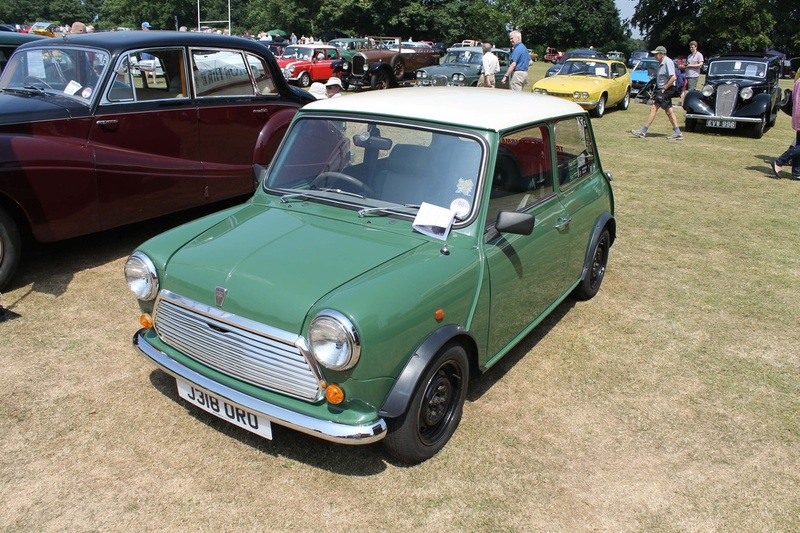 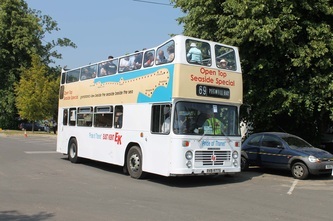 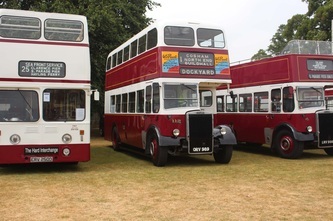 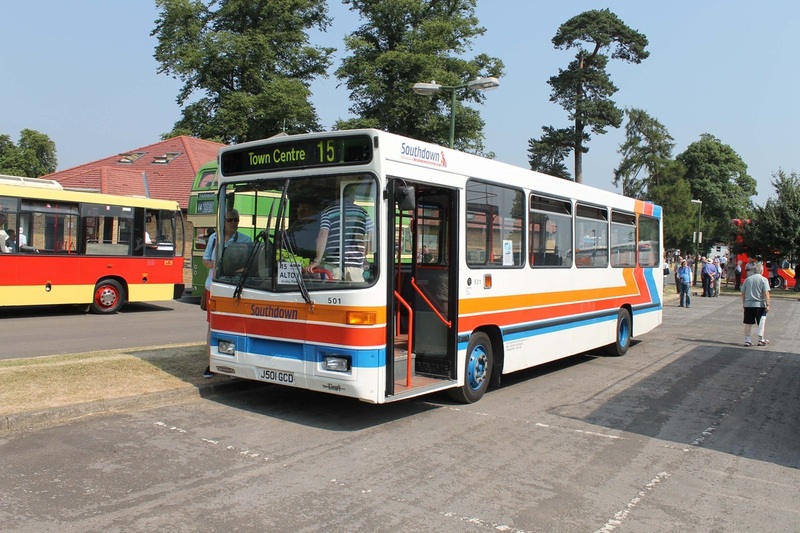 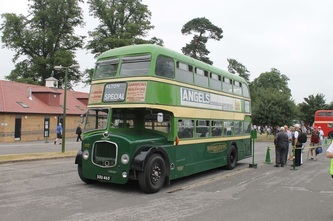 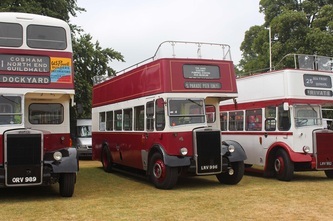 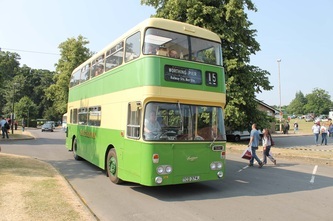 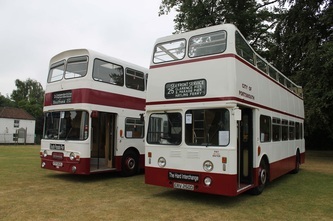 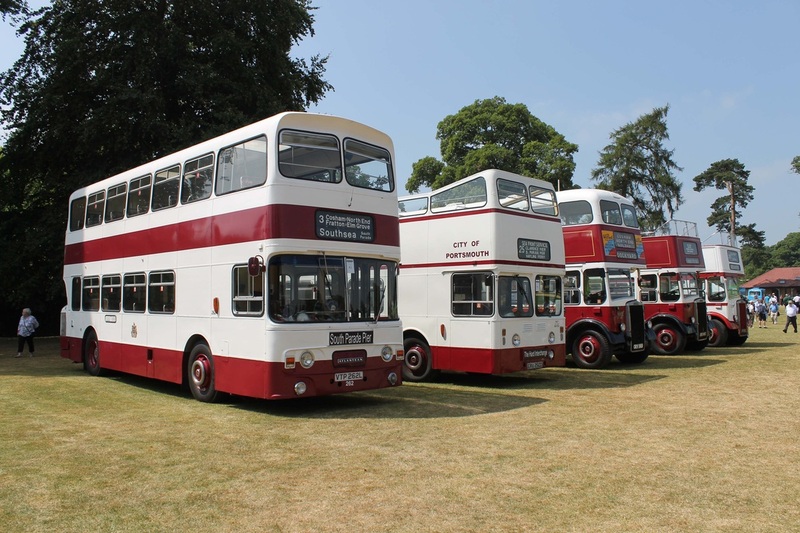 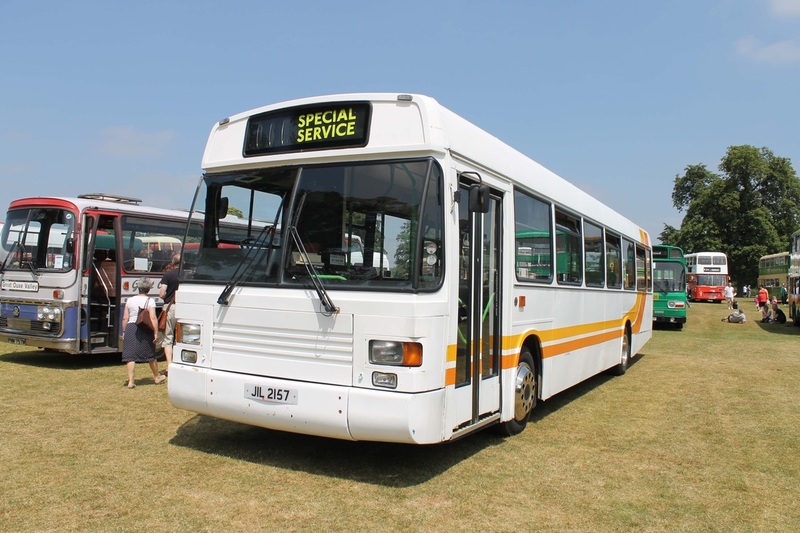 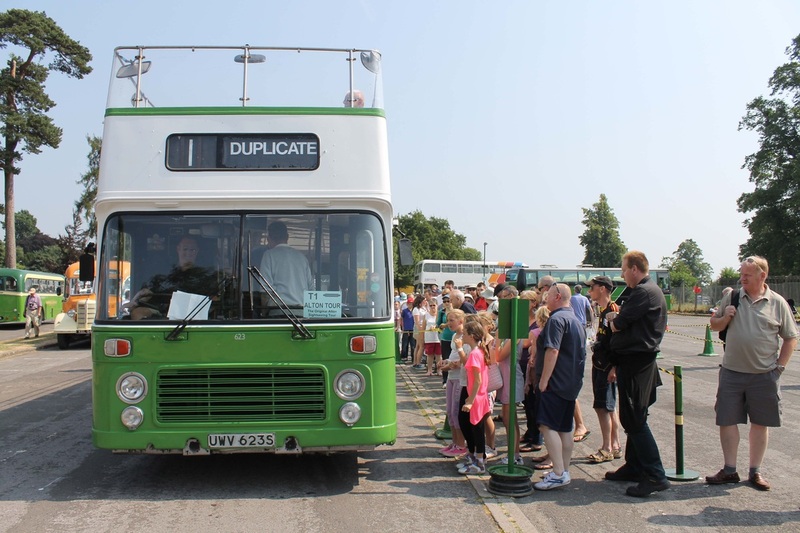 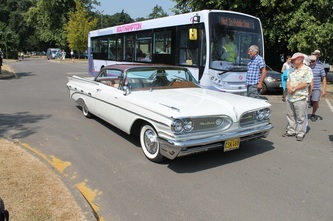 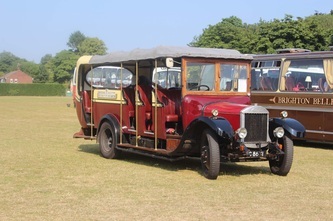 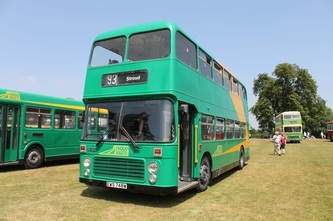 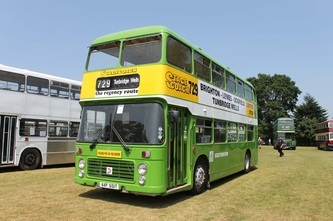 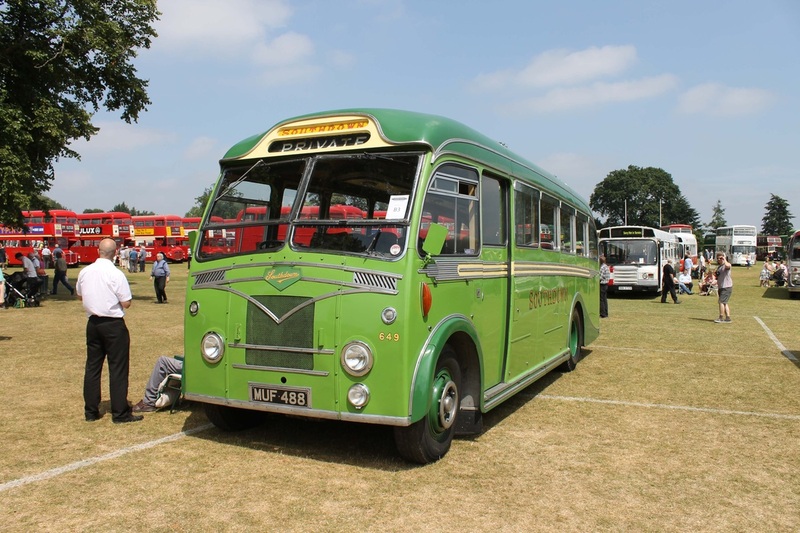 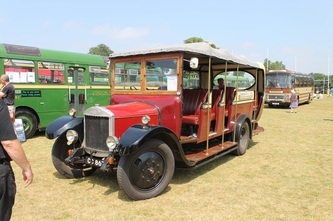 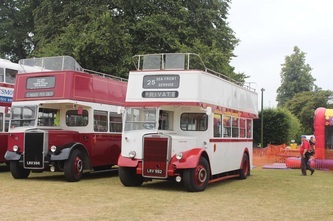 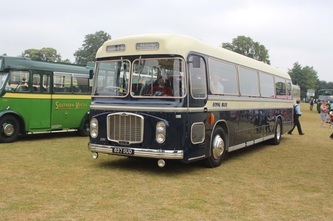 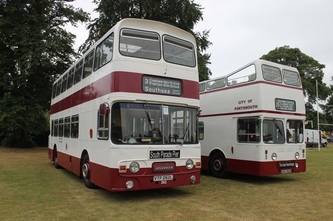 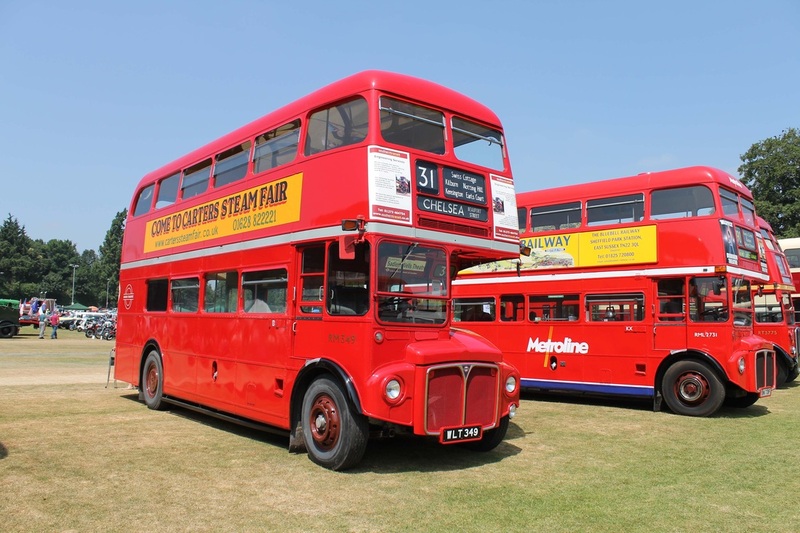 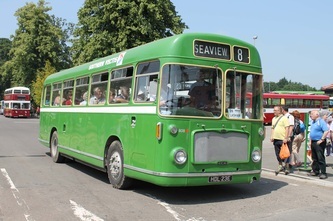 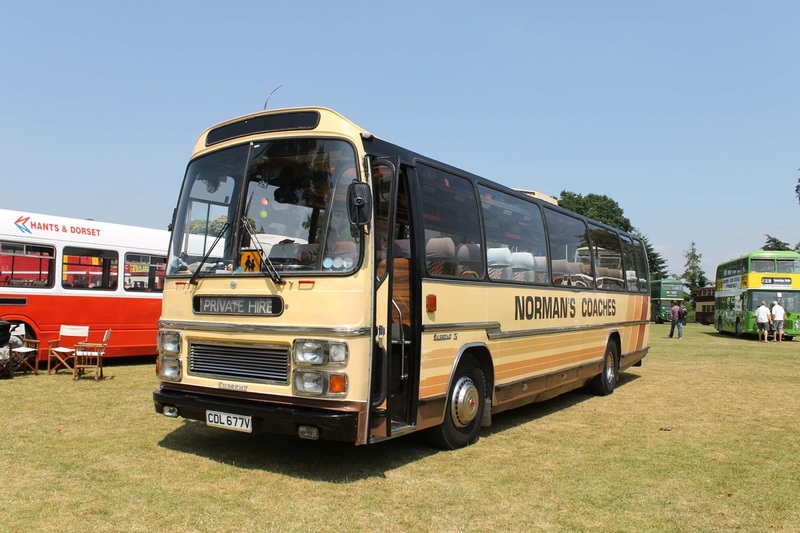 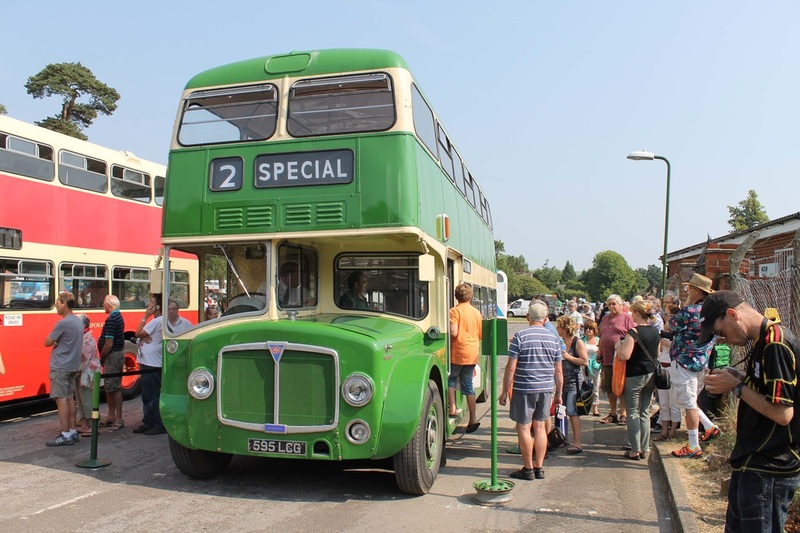 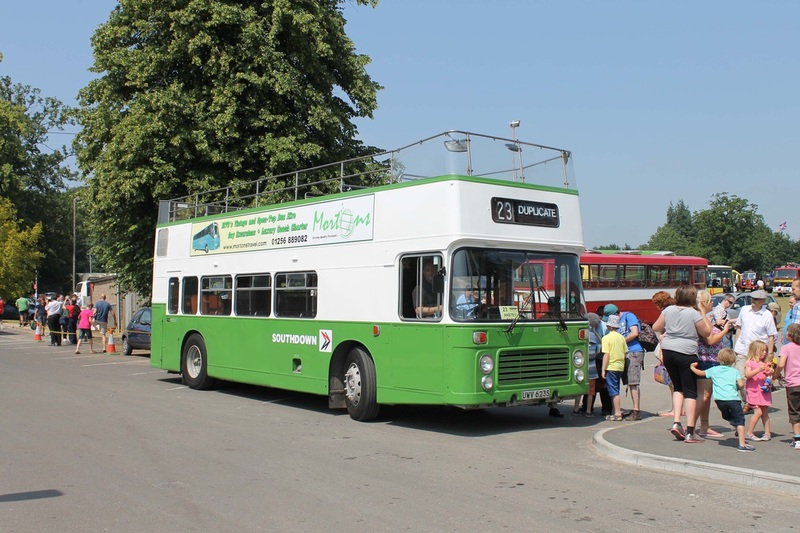 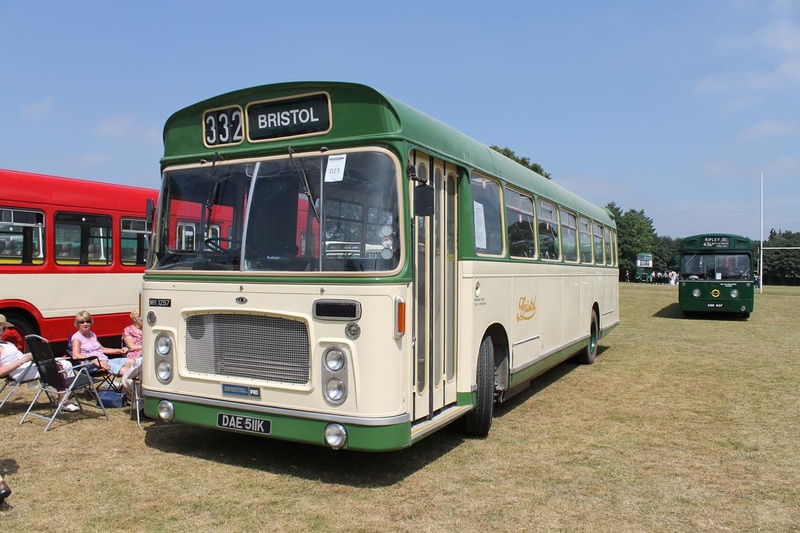 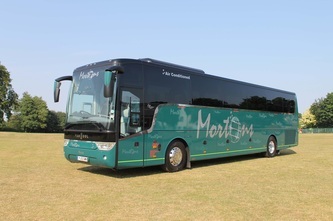 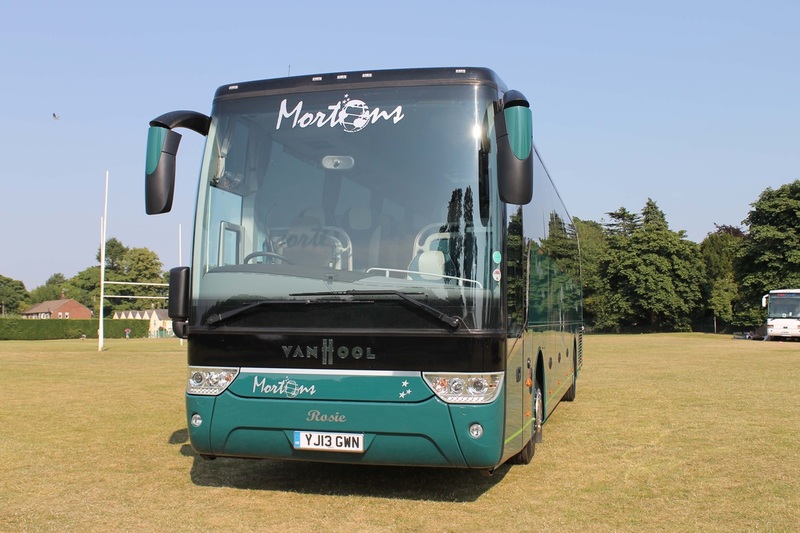 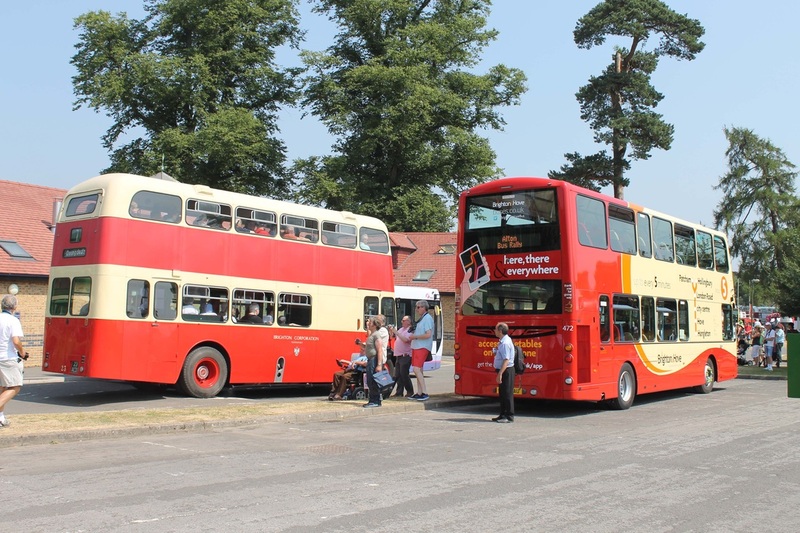 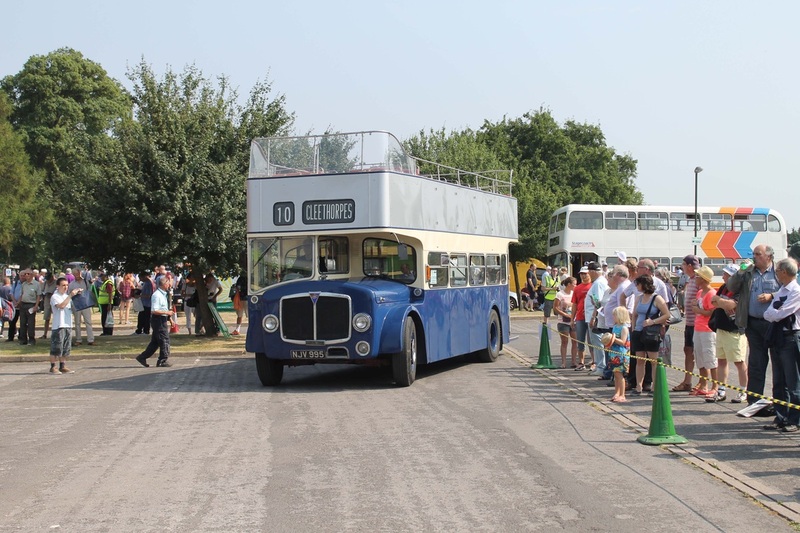 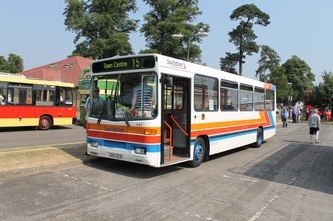 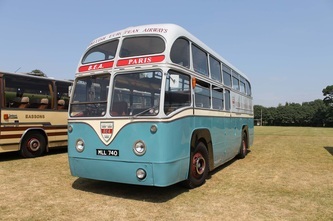 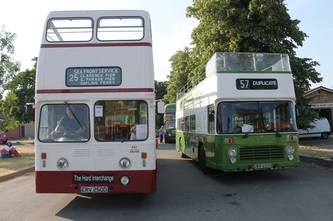 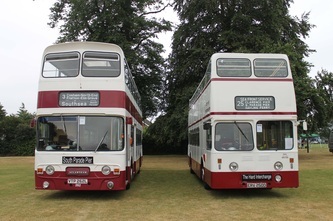 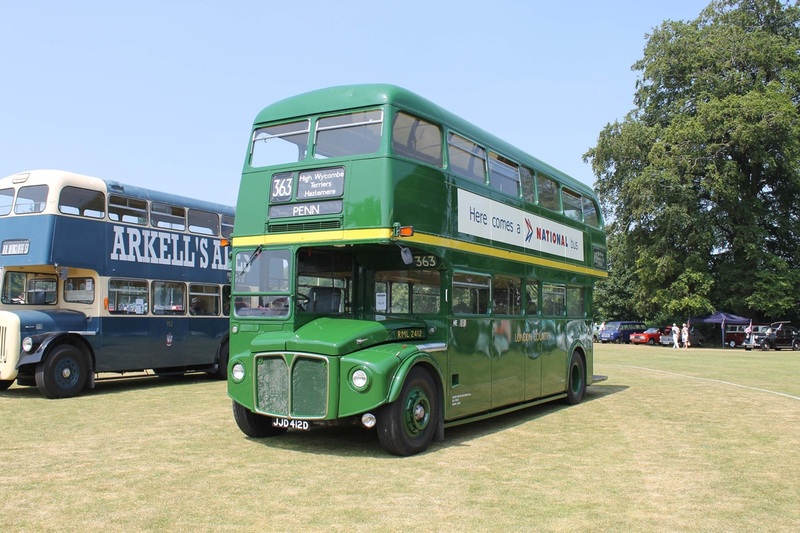 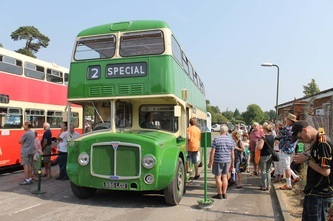 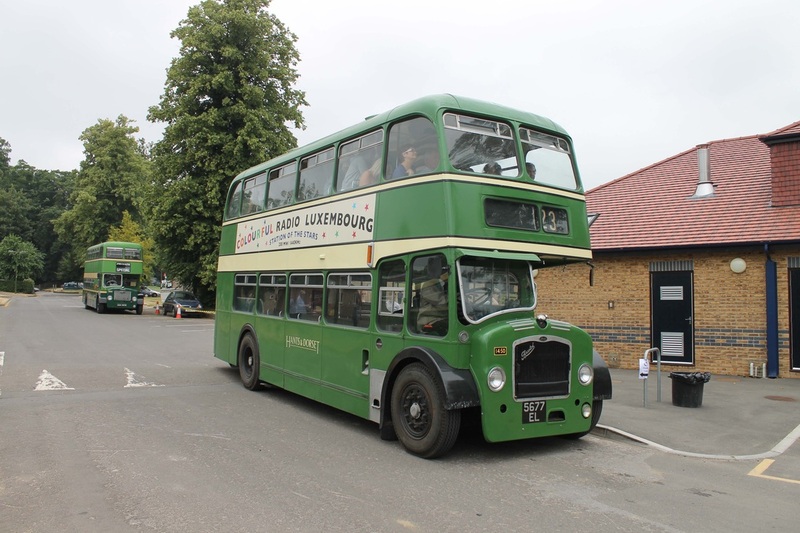 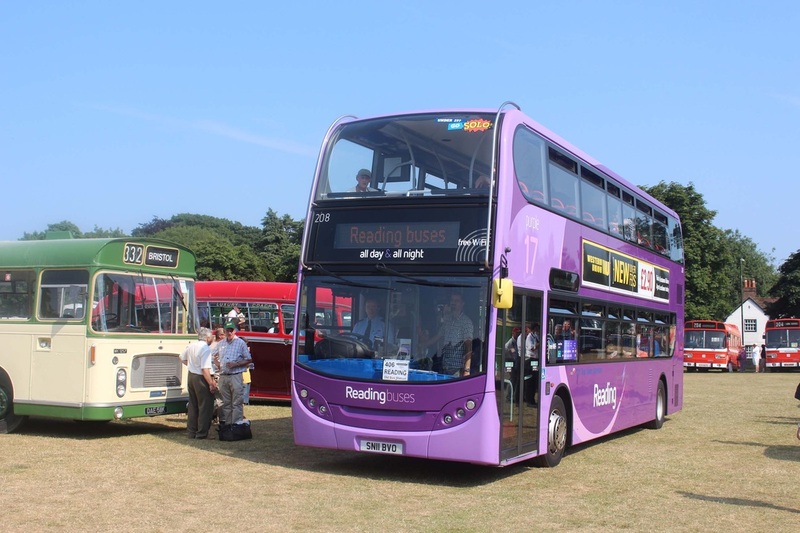 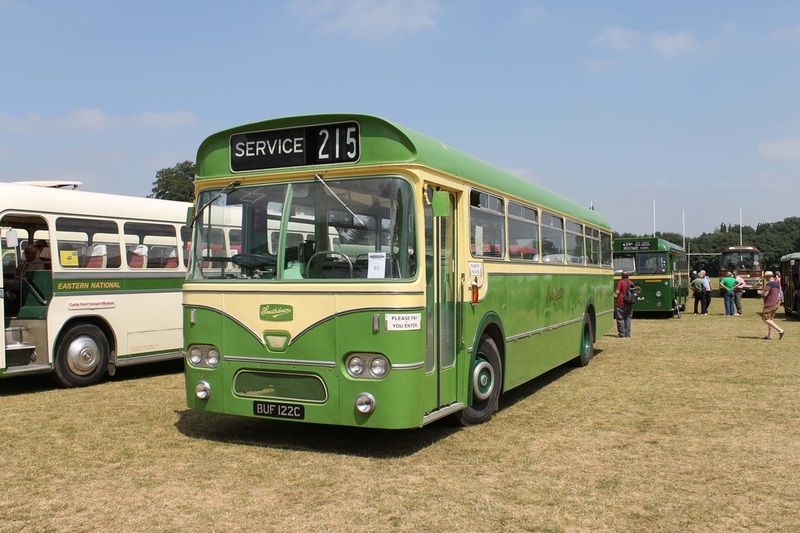 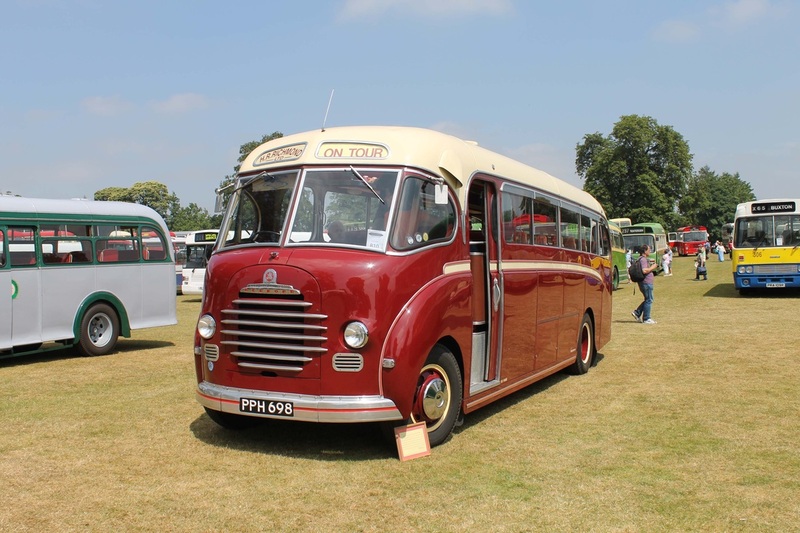 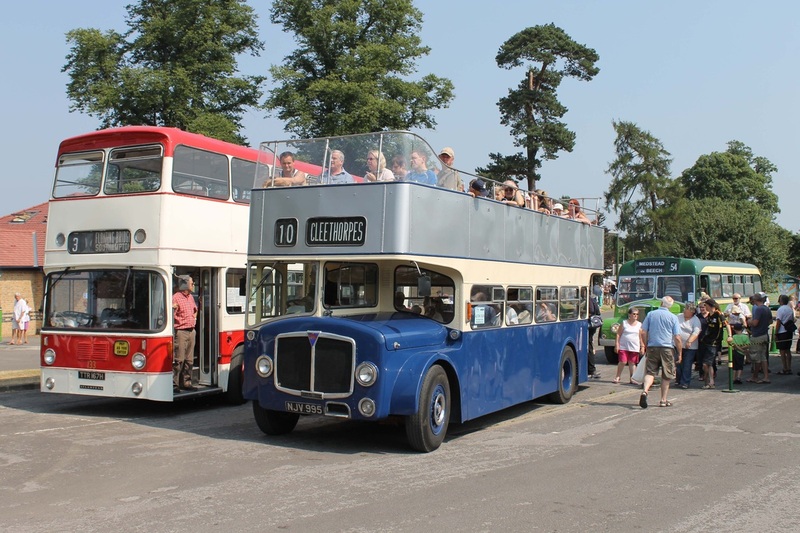 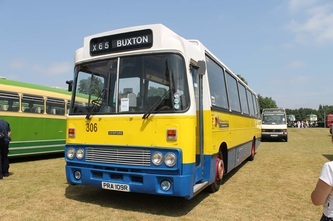 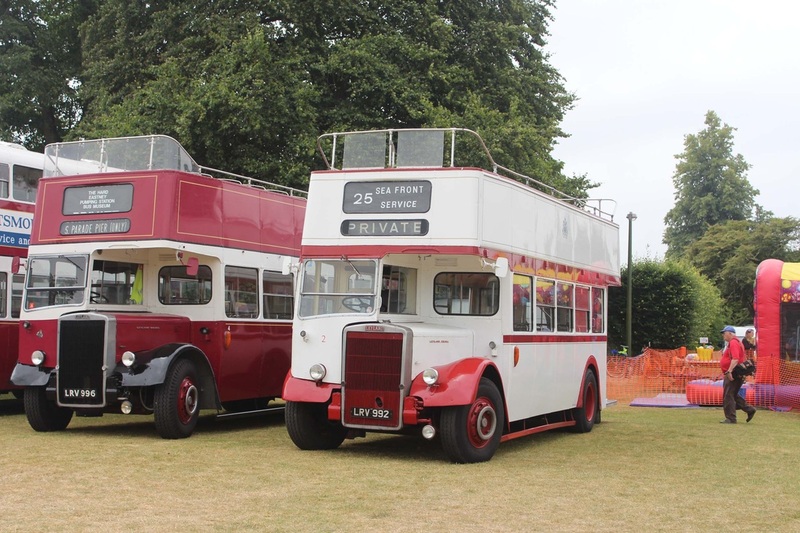 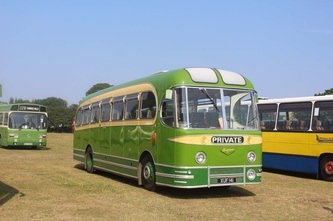 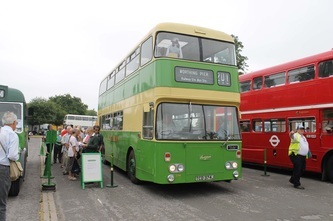 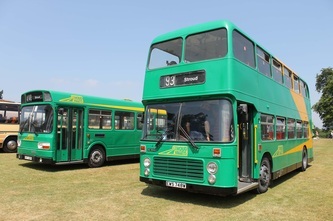 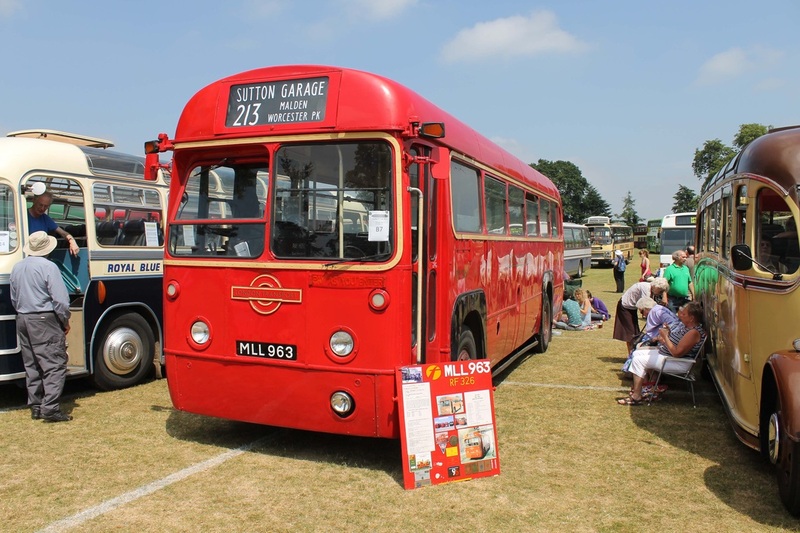 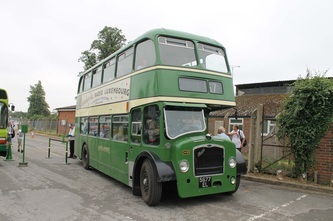 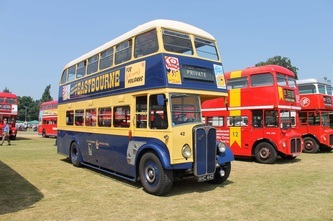 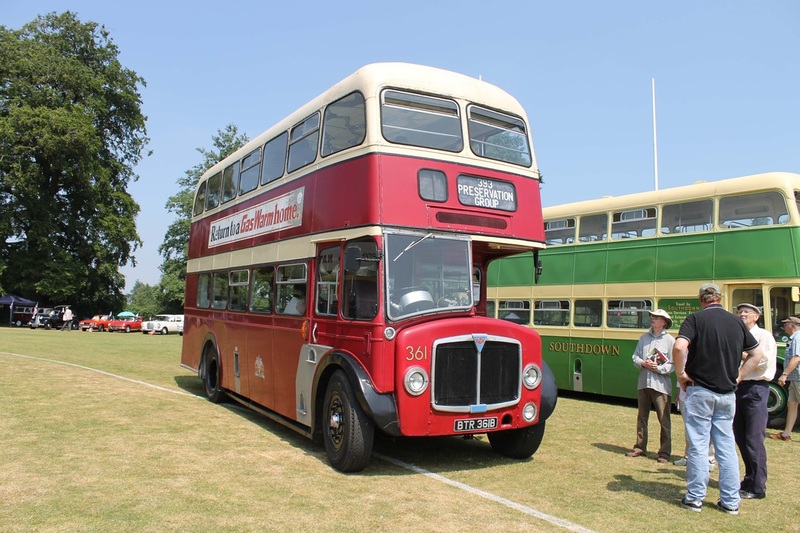 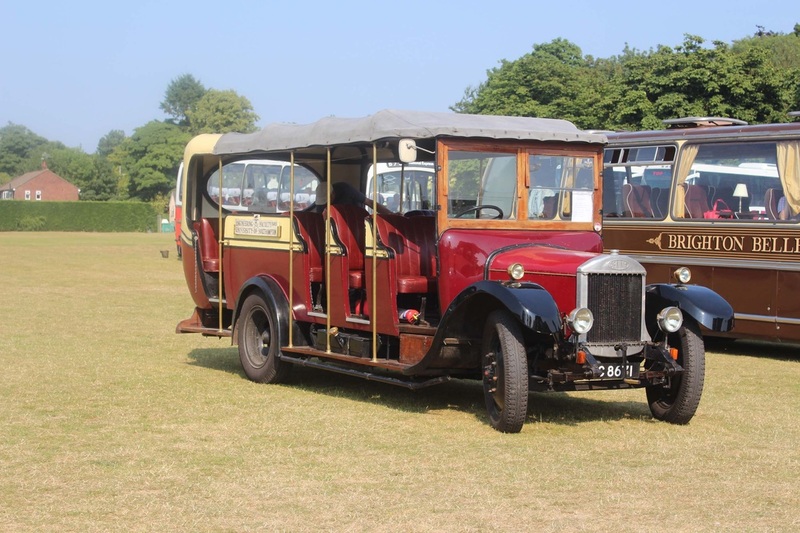 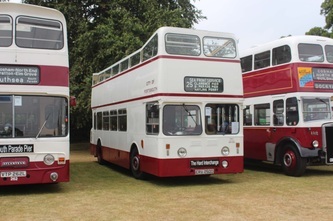 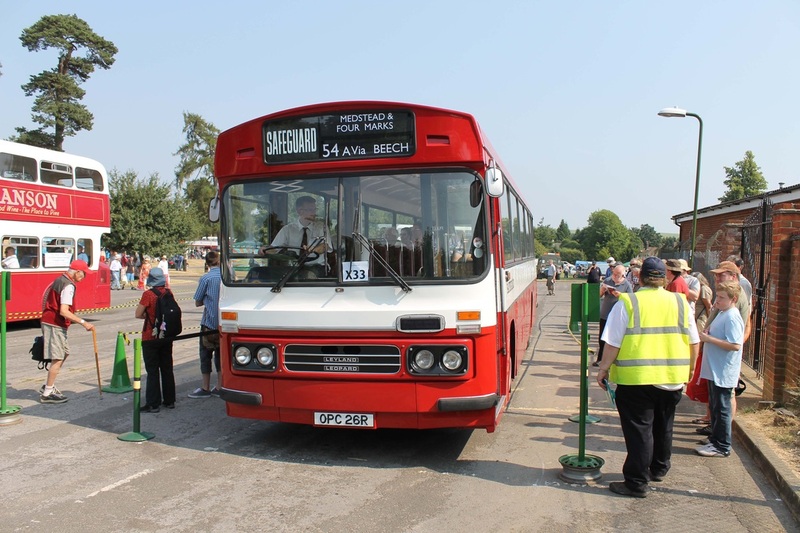 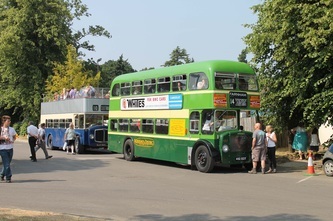 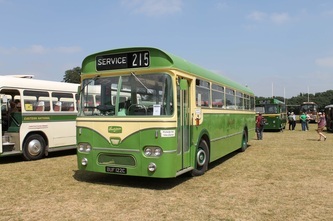 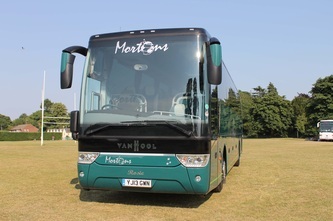 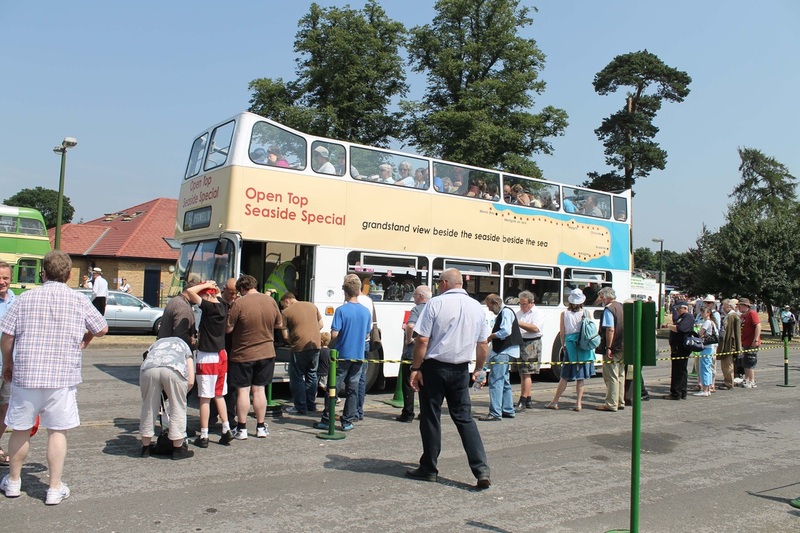 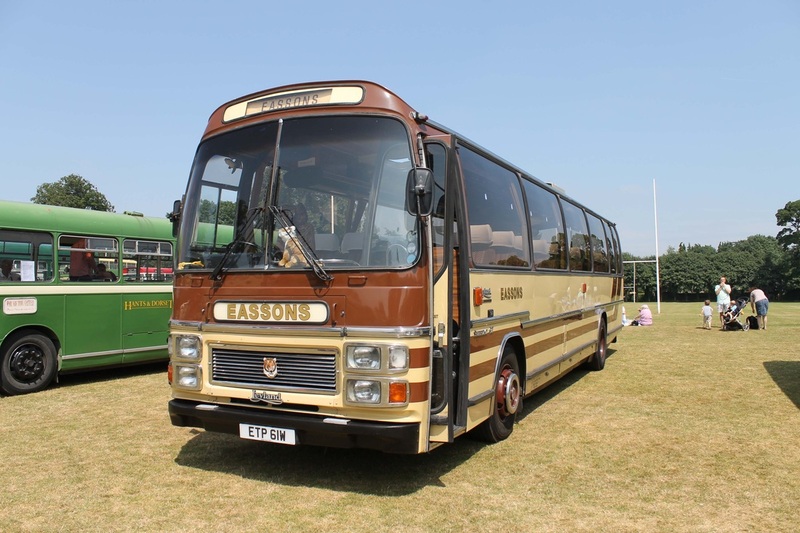 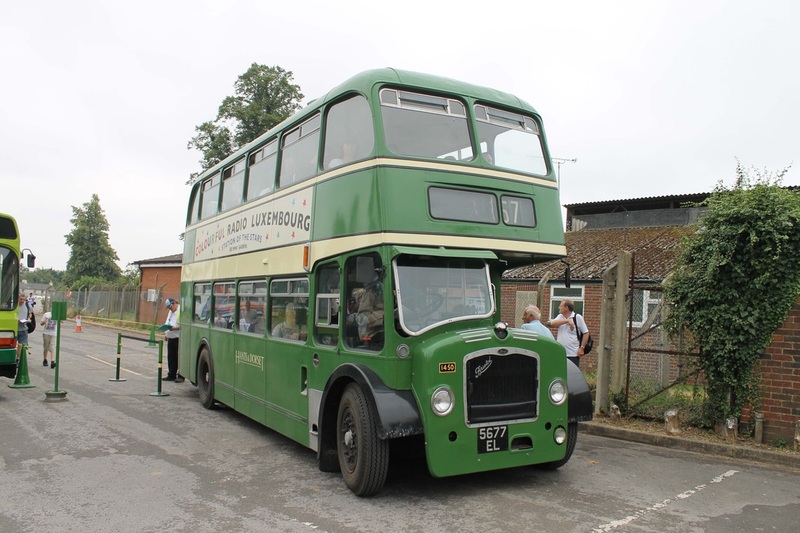 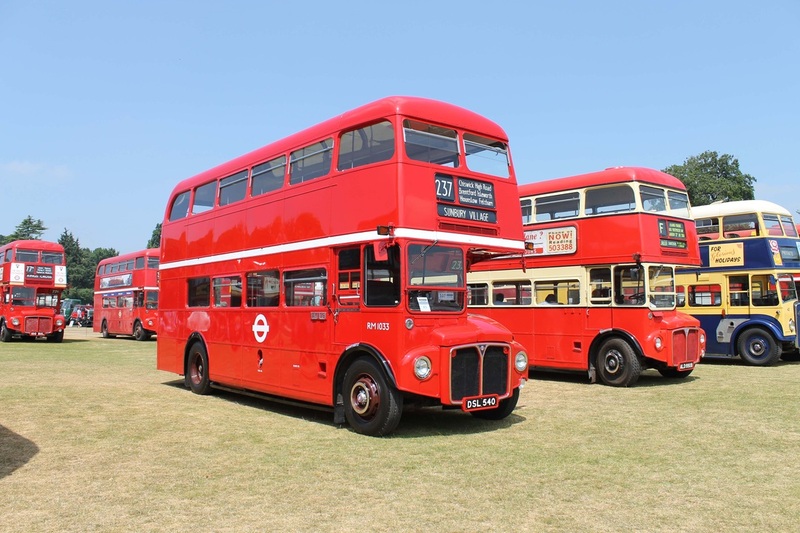 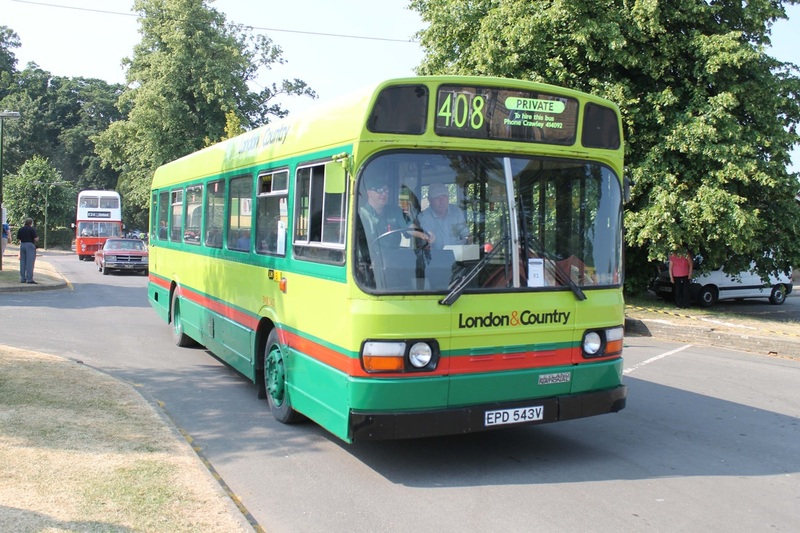 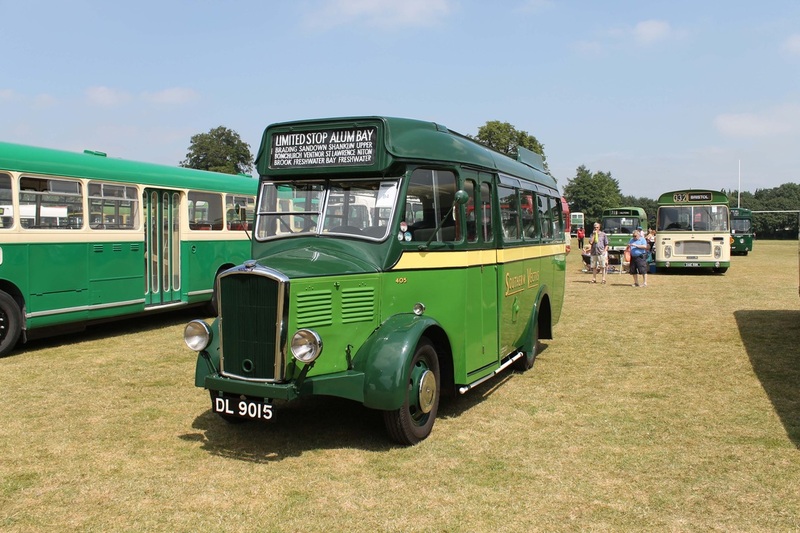 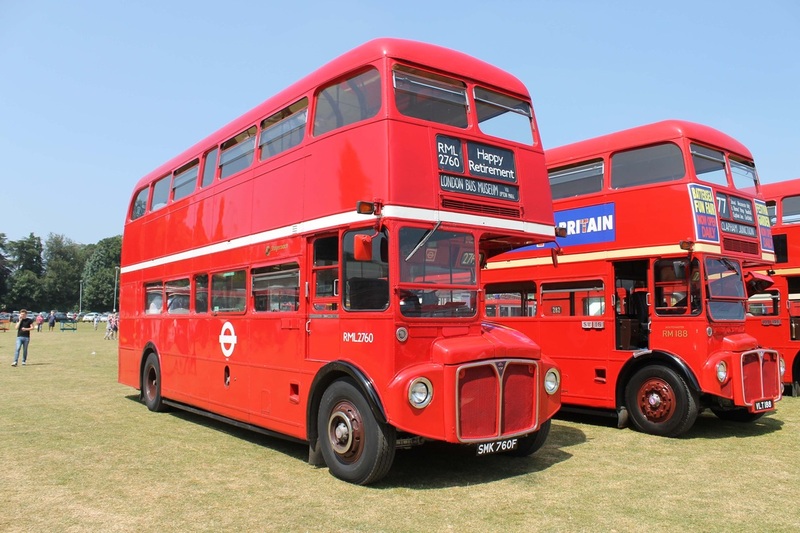 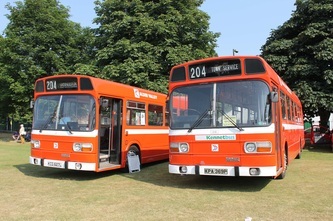 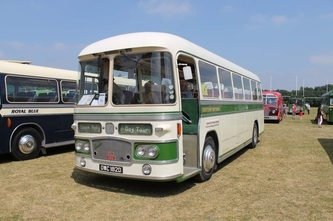 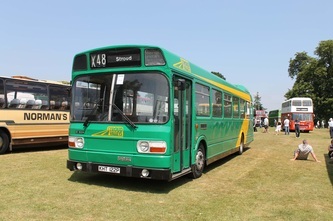 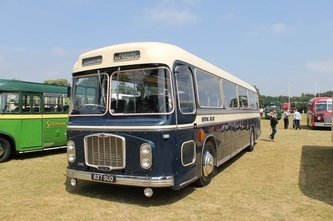 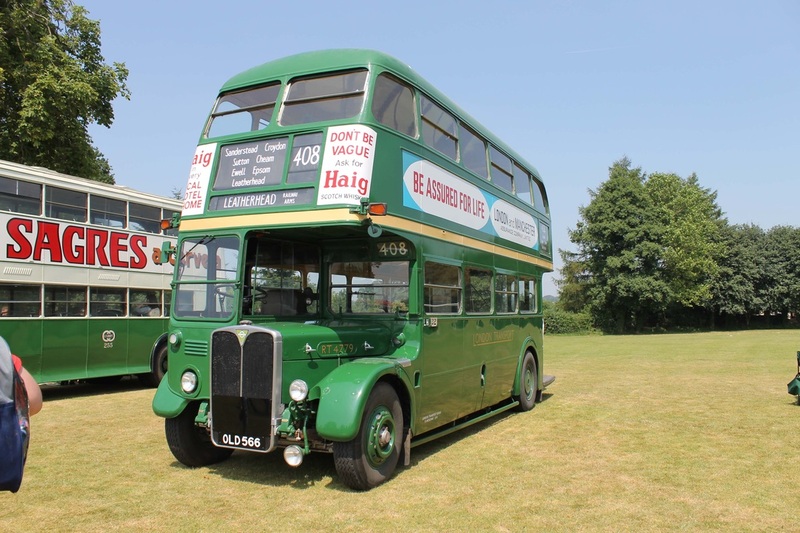 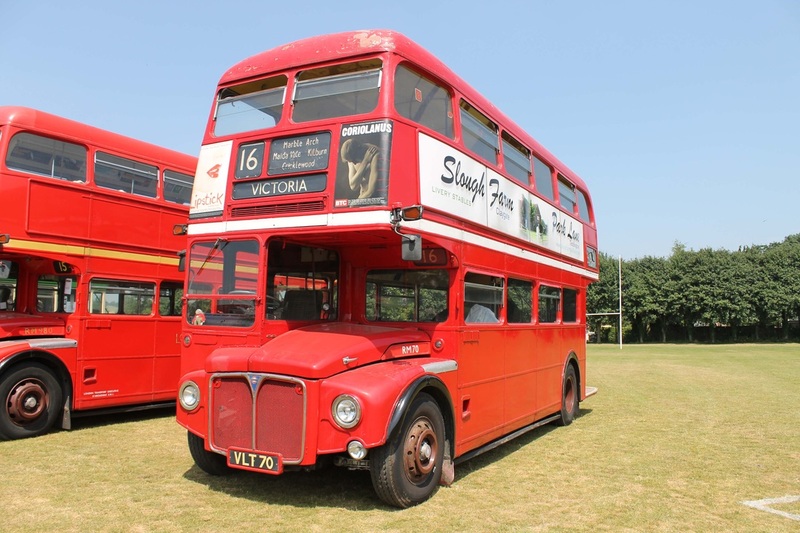 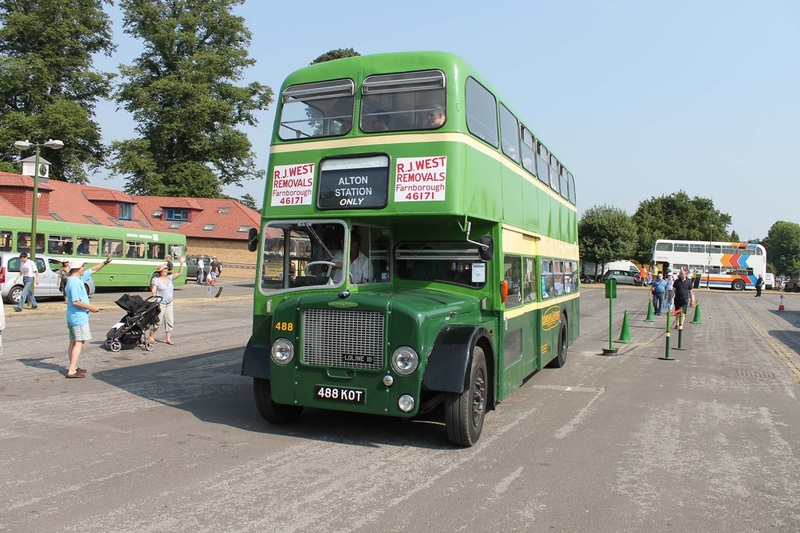 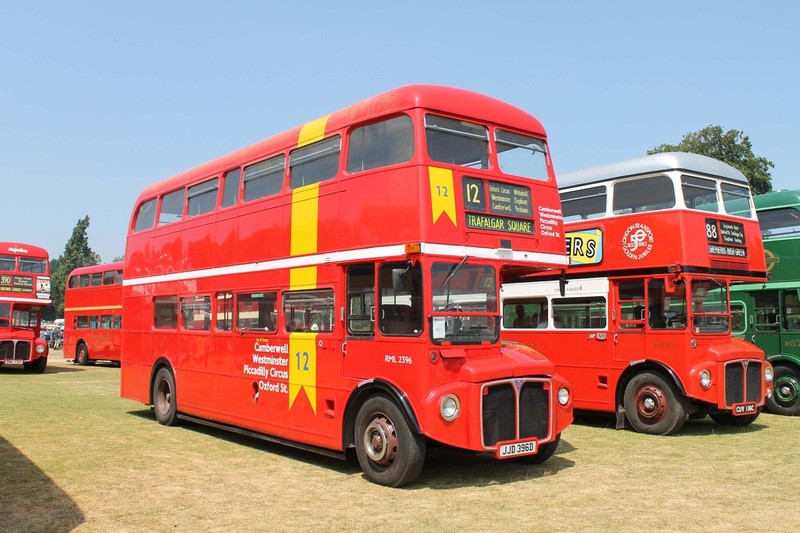 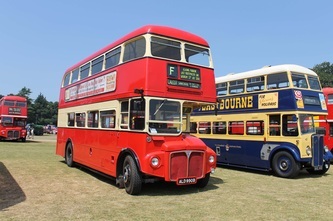 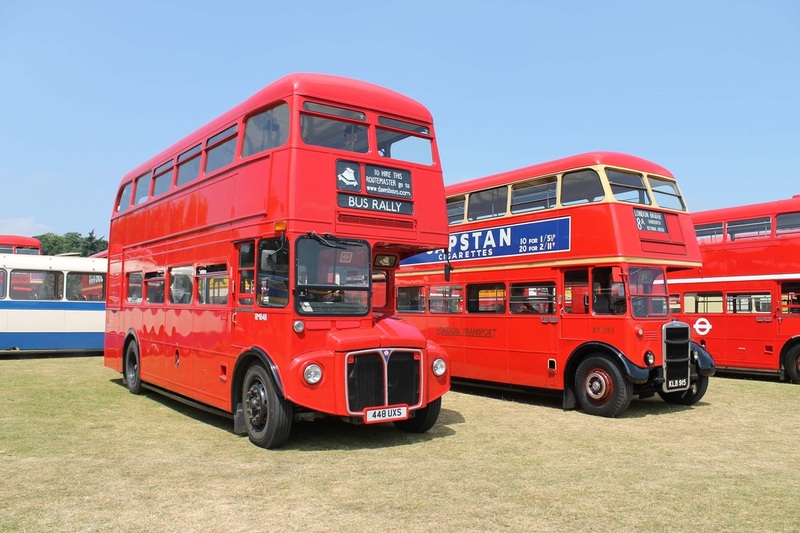 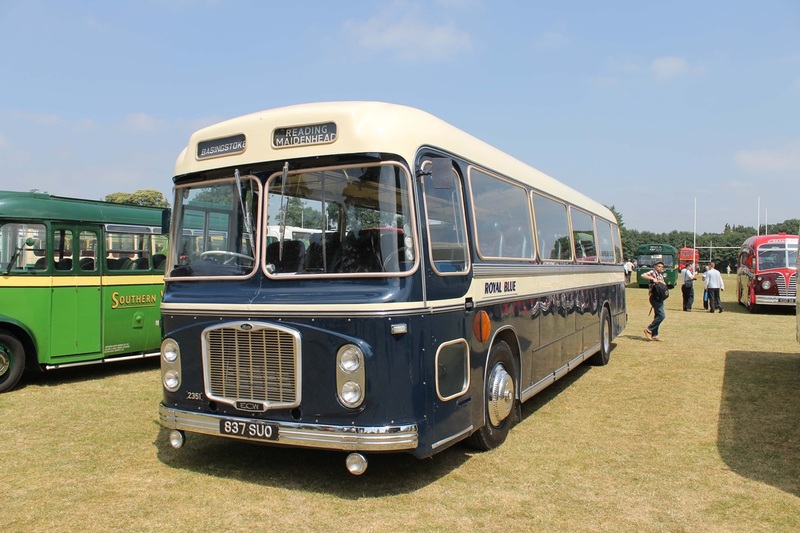 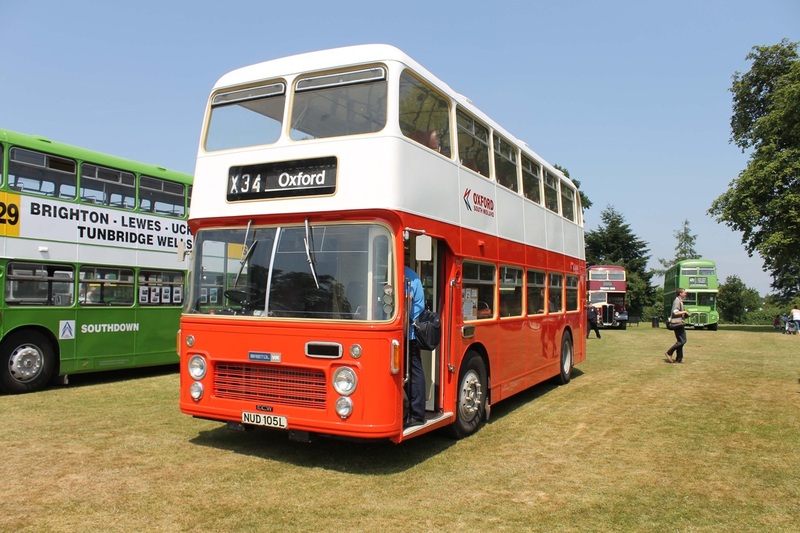 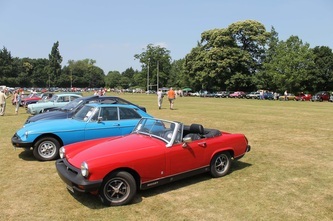 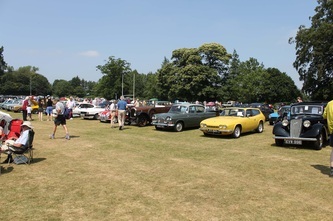 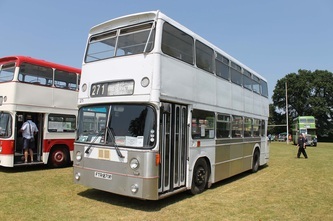 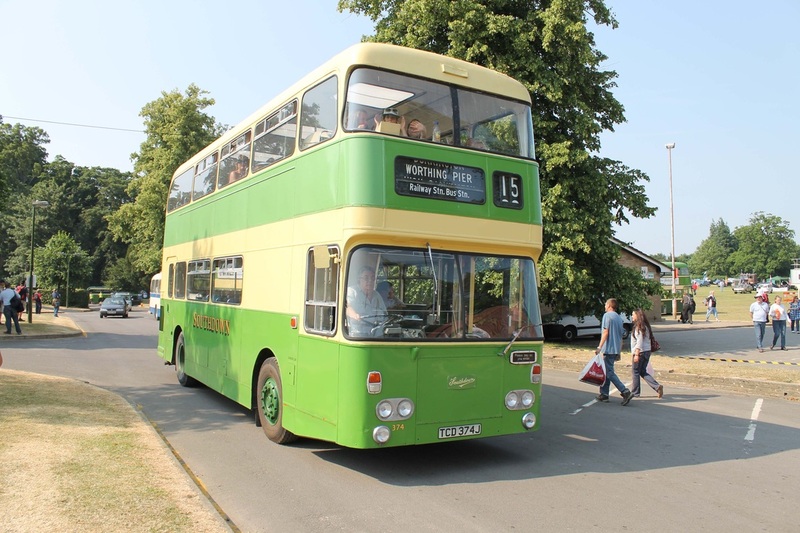 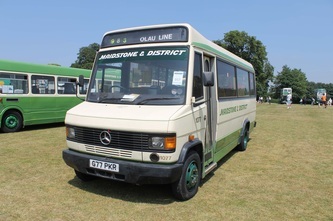 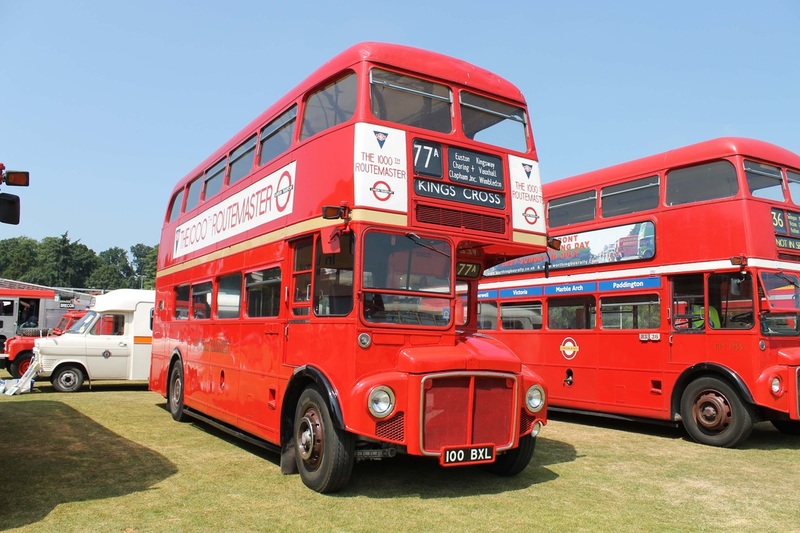 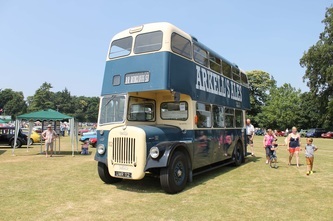 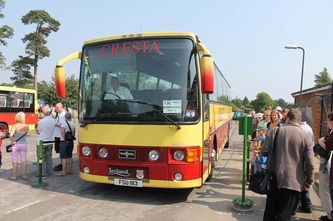 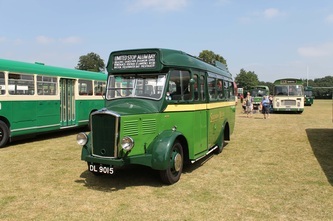 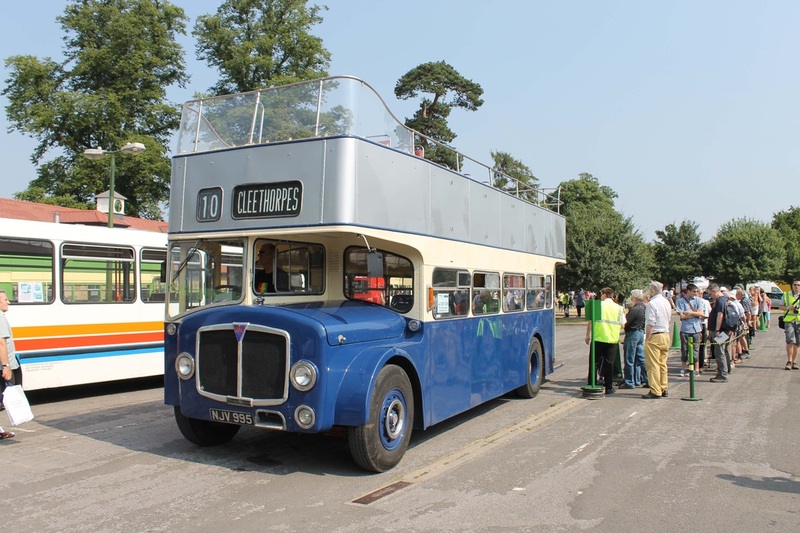 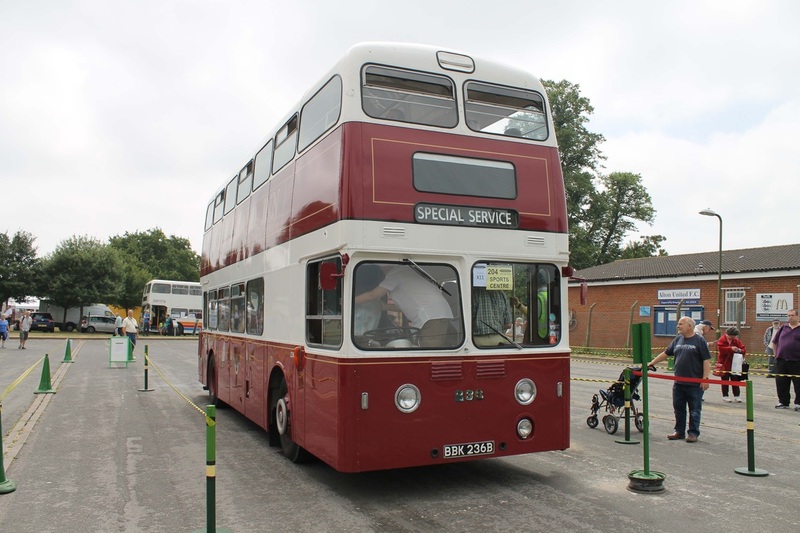 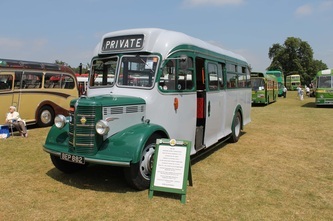 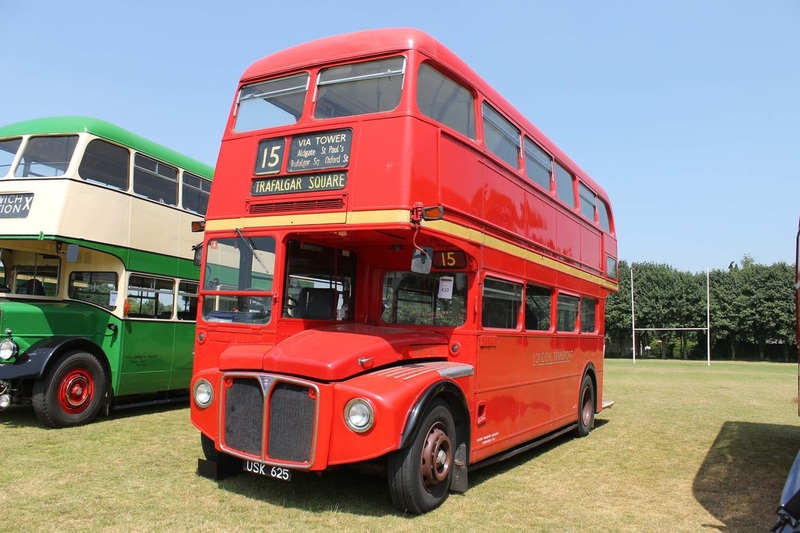 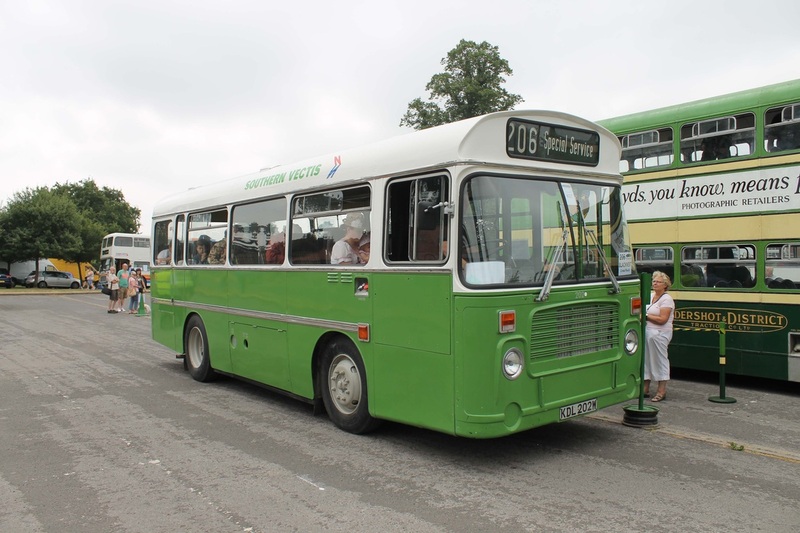 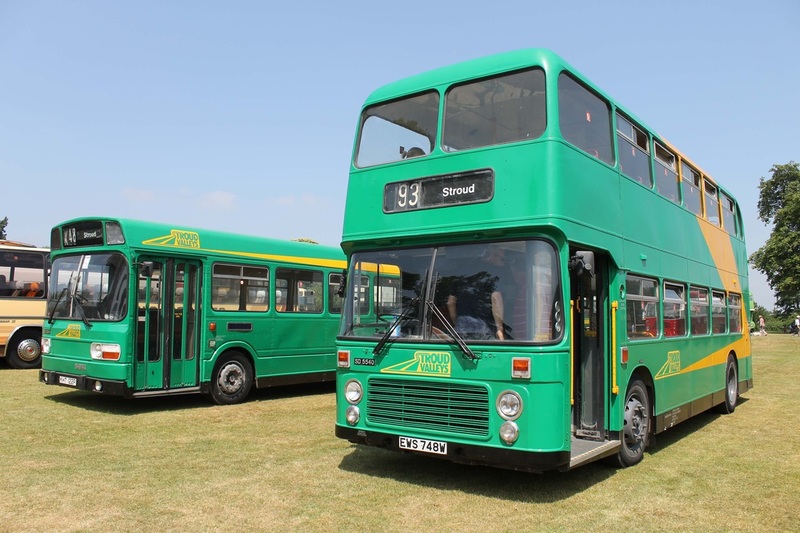 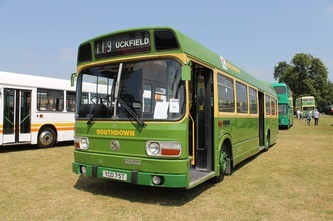 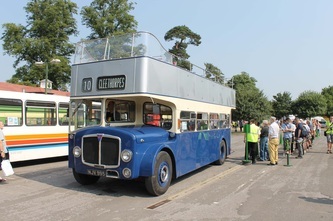 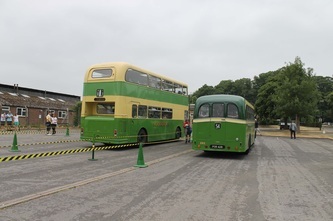 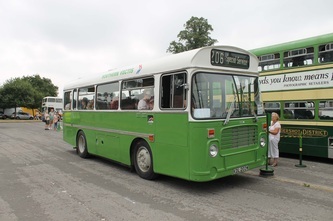 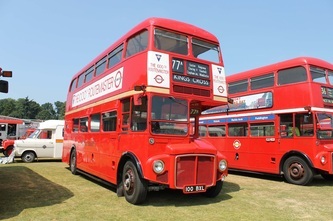 On top of the large static bus display, many stalls selling pictures, models and memorbilia were well visited as well as the nearest burger and ice cream van but also the good fifty vintage cars, vans and lorries on display further into the field. A good day was had by all and once again the Alton Bus Rally was certainly a roaring success.